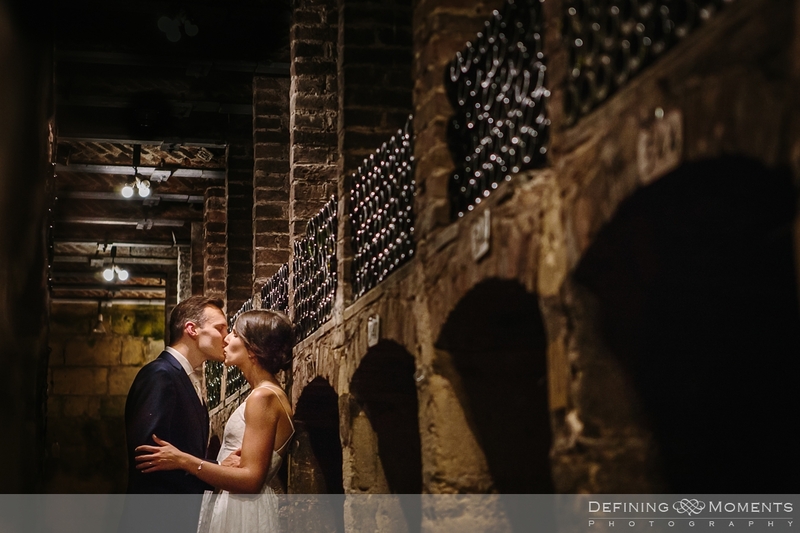 When I met Carly & Roger early 2017 and they told me they would be having a wine cellar wedding and wanted me as their photographer, I couldn’t be happier. 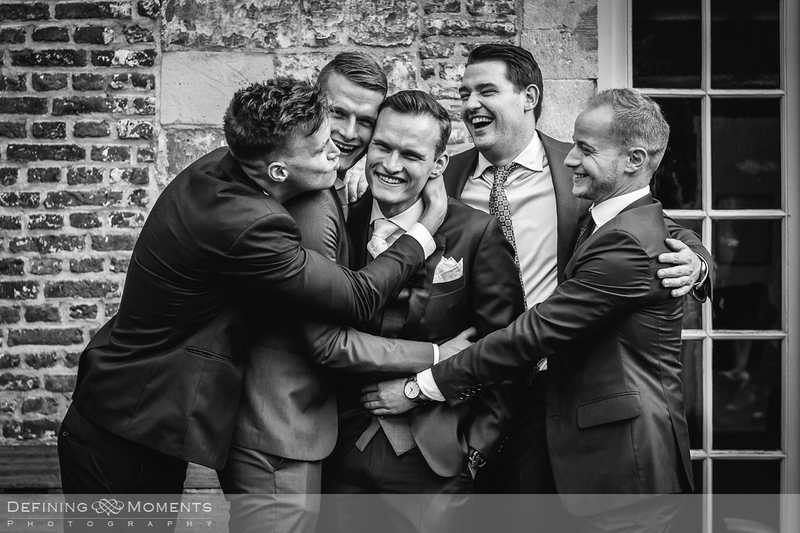 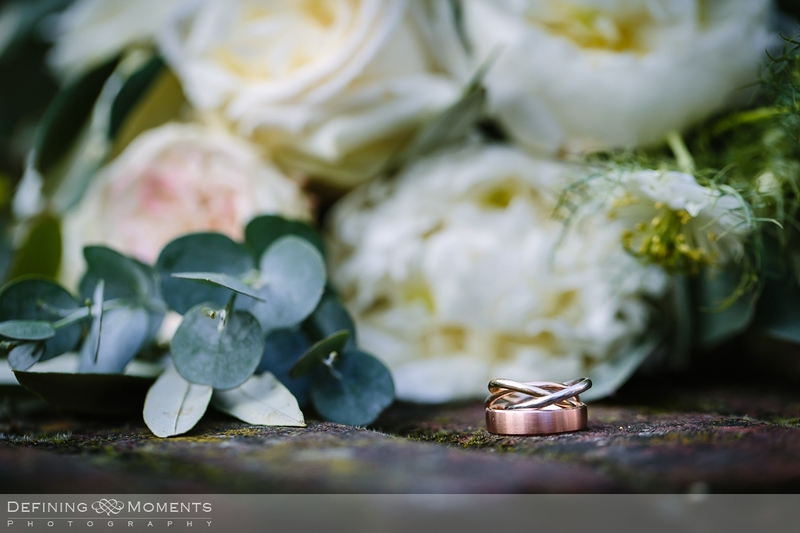 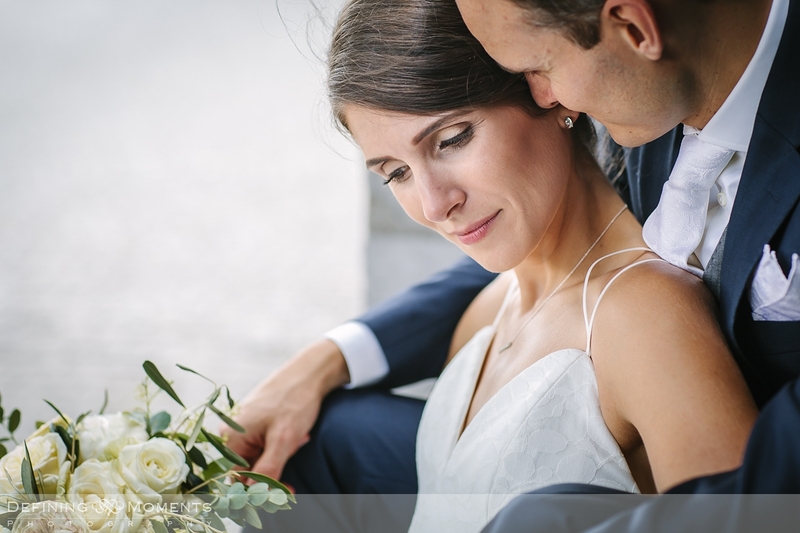 It would be one of those special occasions where the setting is truly remarkable and different, potentially contributing to some unusual and original wedding photography. 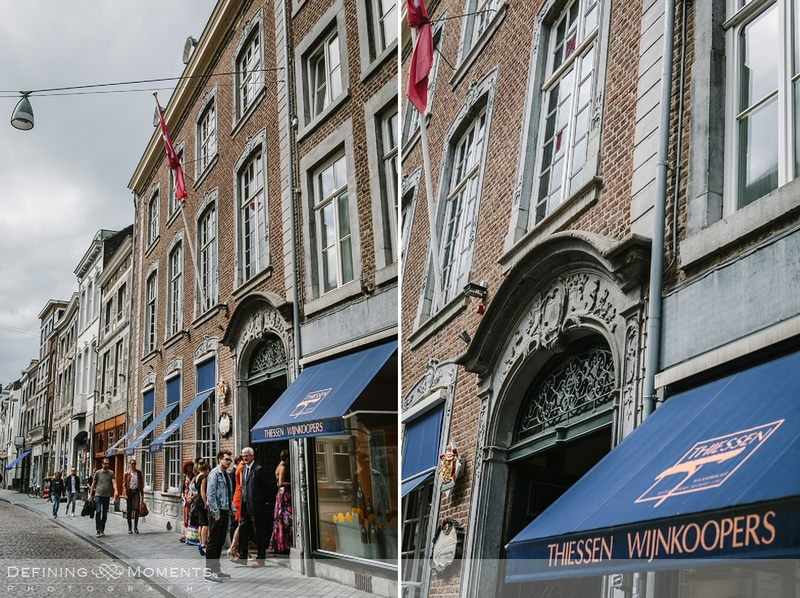 This wonderful location is situated in the heart of Maastricht, the Netherlands, and is called Thiessen Wijnkopers (Thiessen “wine buyers”). 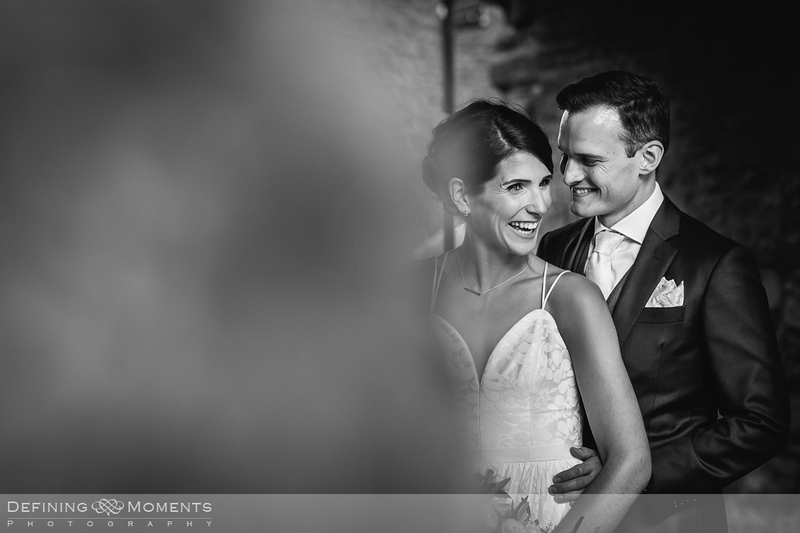 It definitely wasn’t amongst the most bright wedding venues I have ever been in, but modern camera technology allows to really push the limits, even in difficult situations and of course it is also a great chance to do some funky off-camera flash stuff (OCF for the techies ;-)). 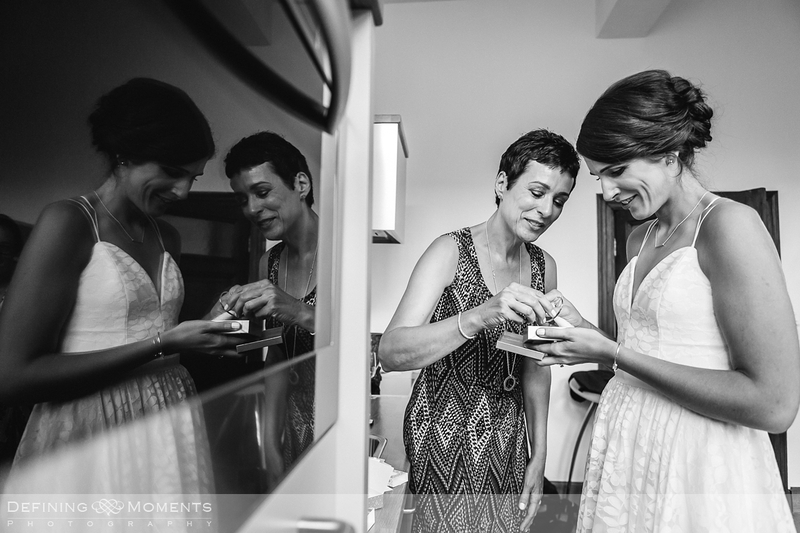 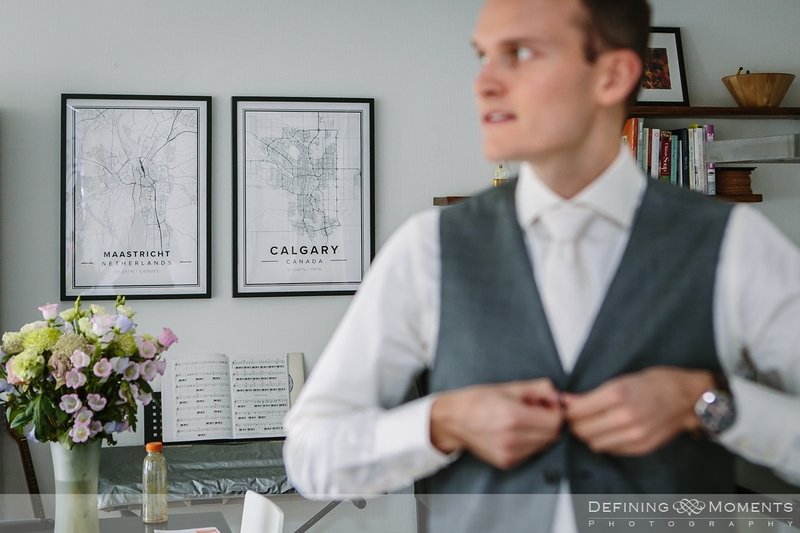 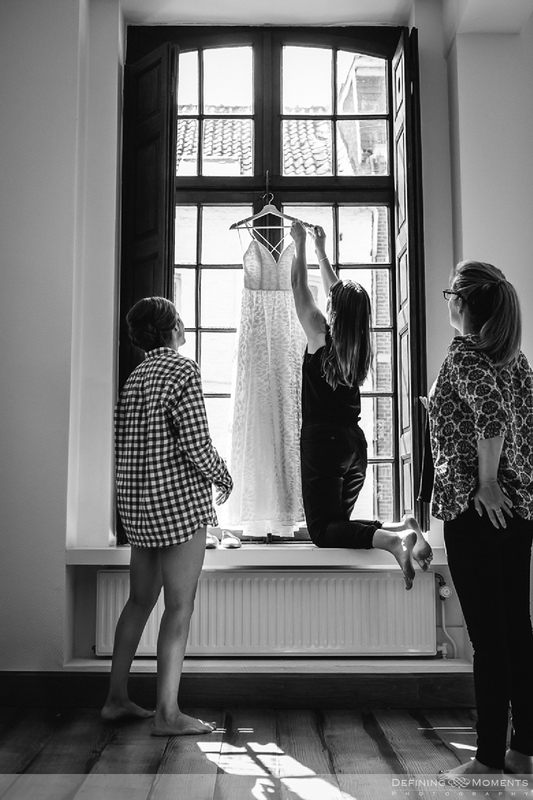 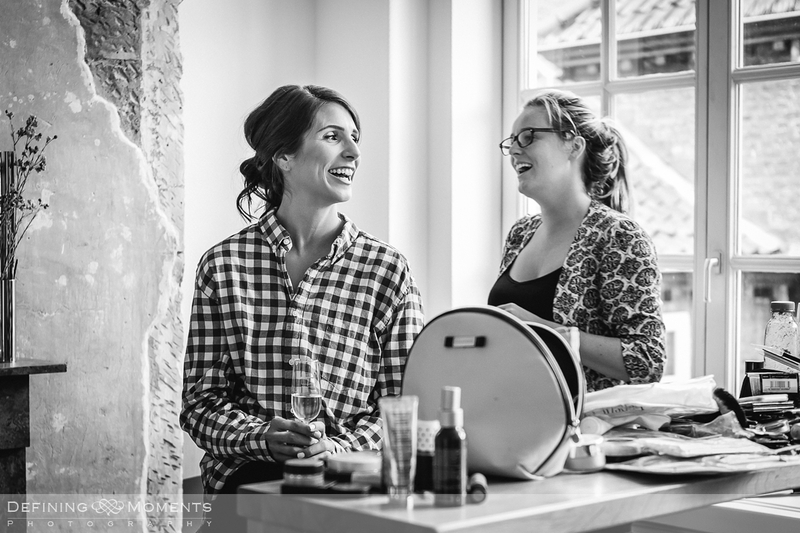 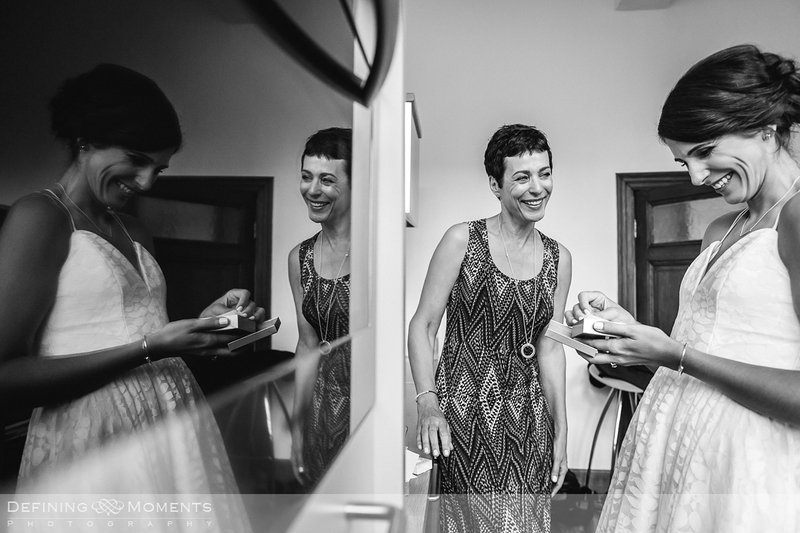 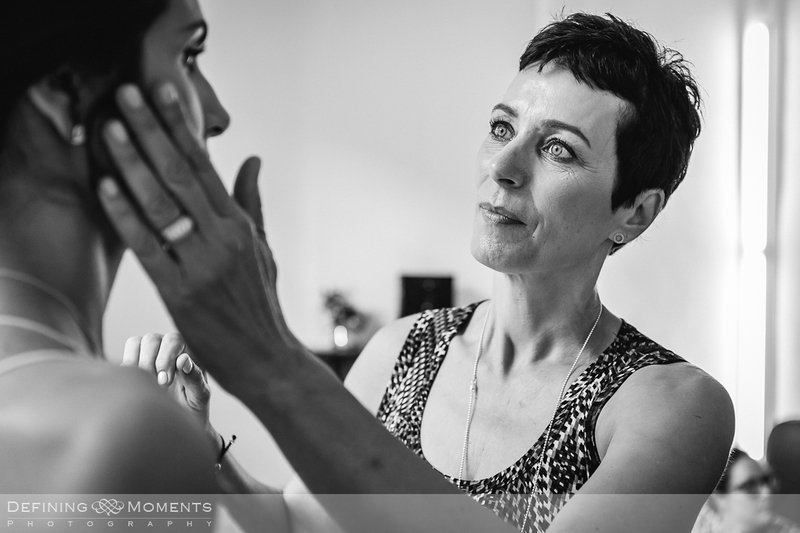 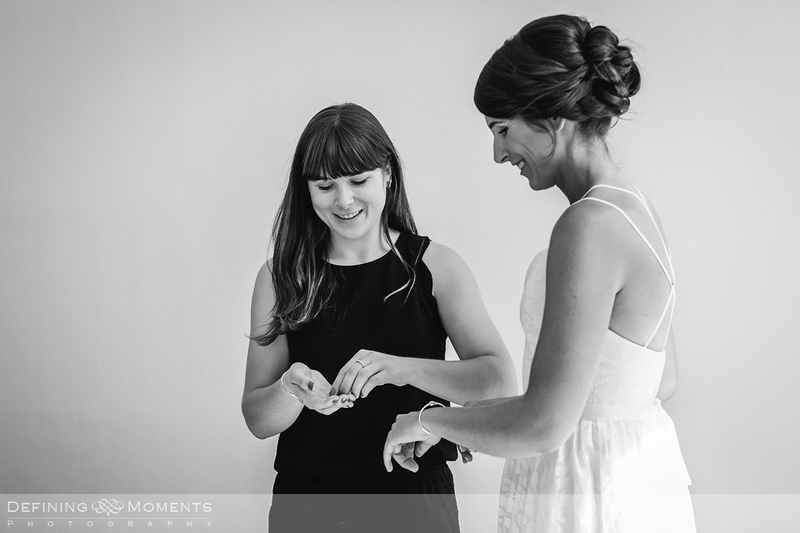 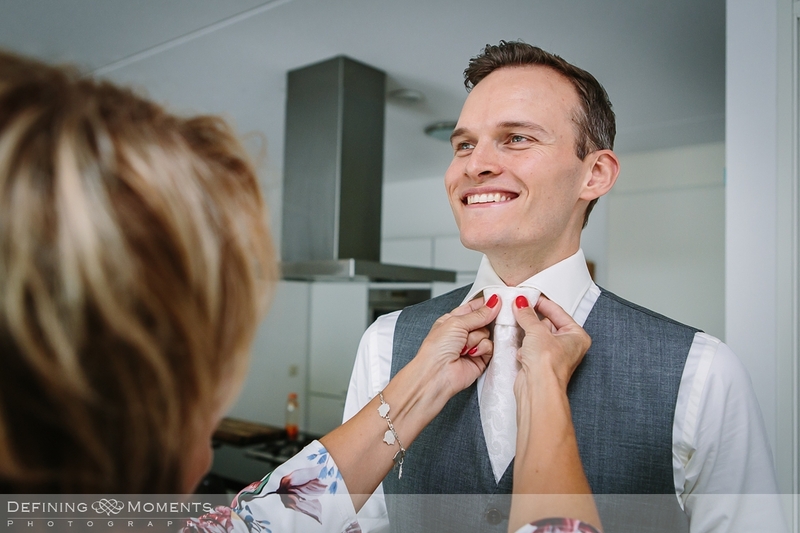 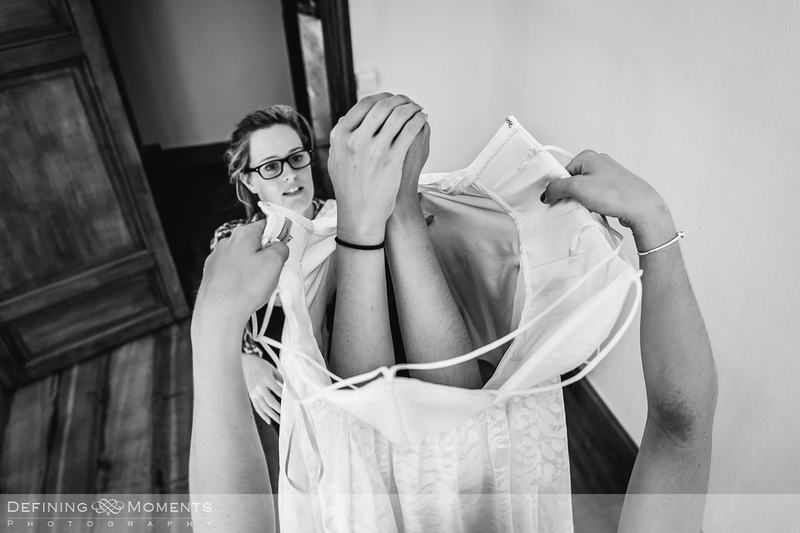 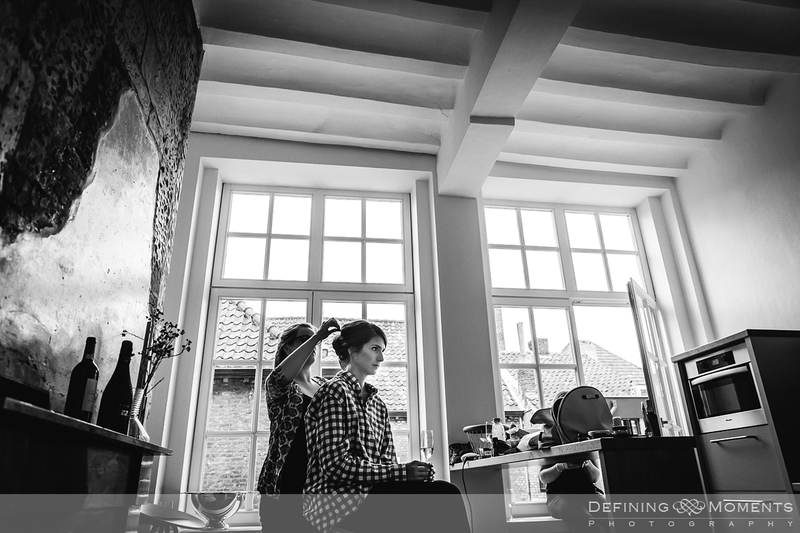 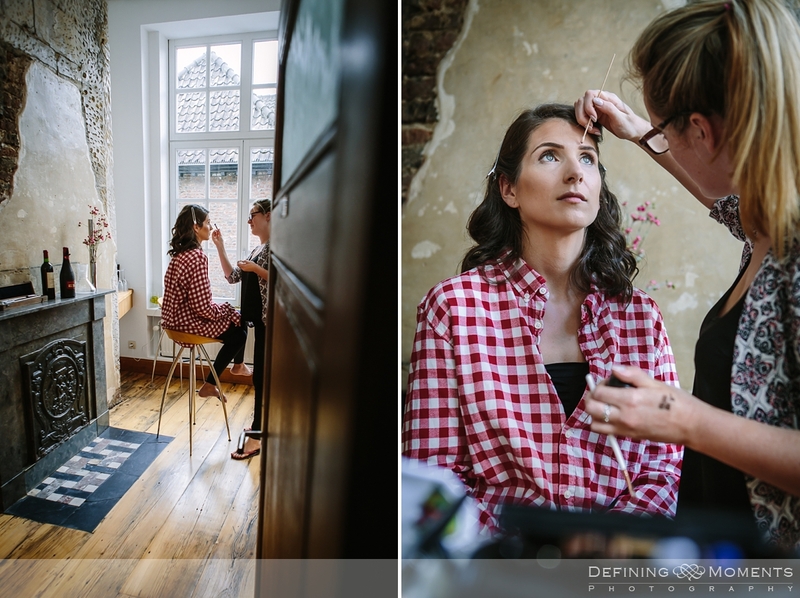 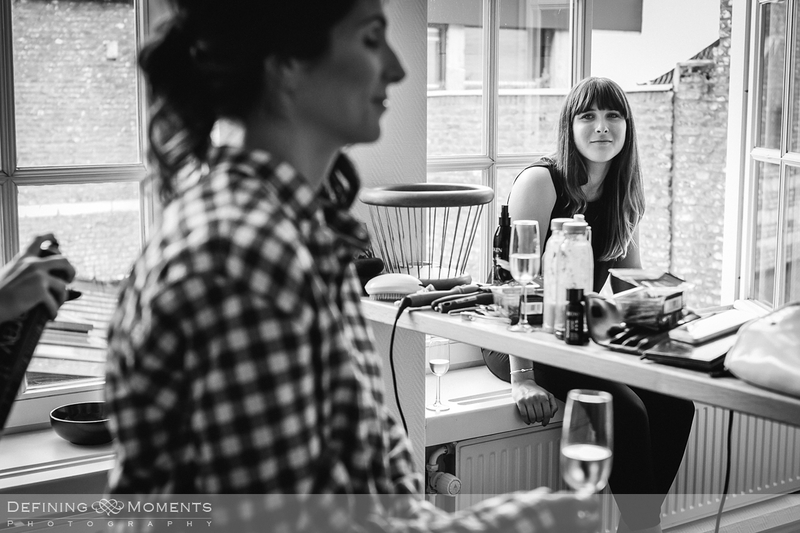 We started the day as usual in two different places, allowing for bride & groom preps to be captured simultaneously but at two different locations – one of the many advantages of having a second shooter on the day. 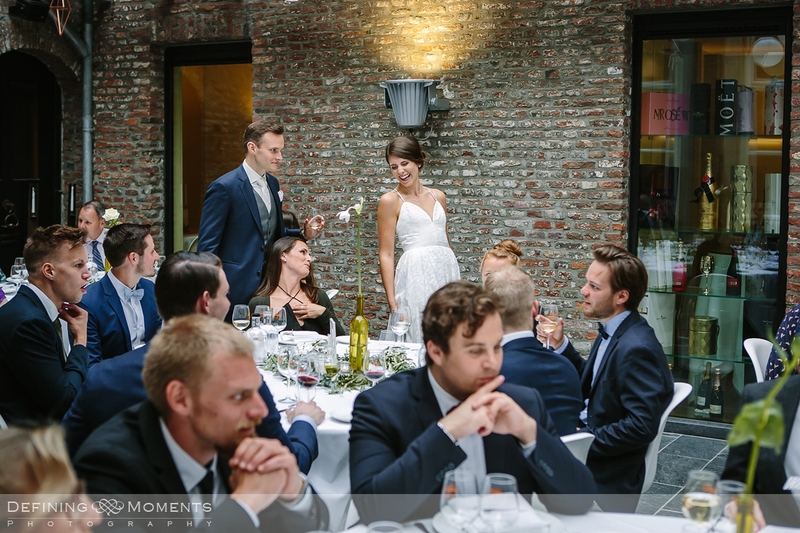 Bride & groom had arranged their first look outside in Thiessen’s courtyard, where there is also a mini-vineyard. 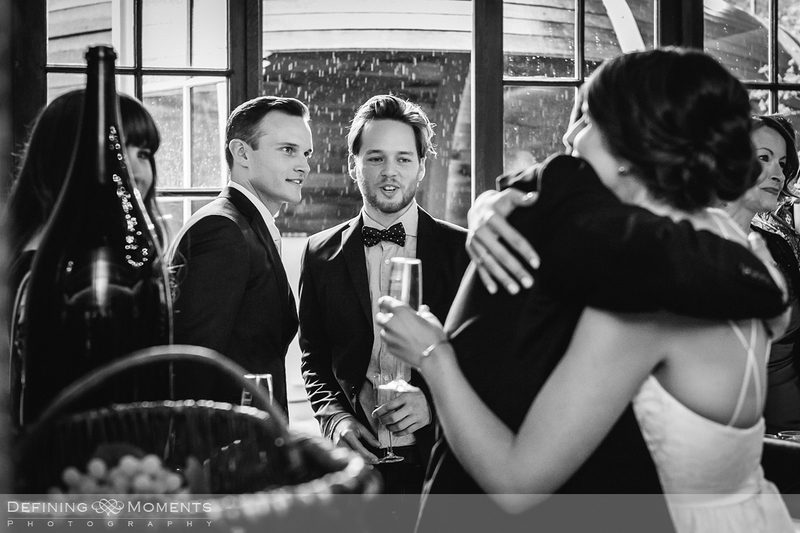 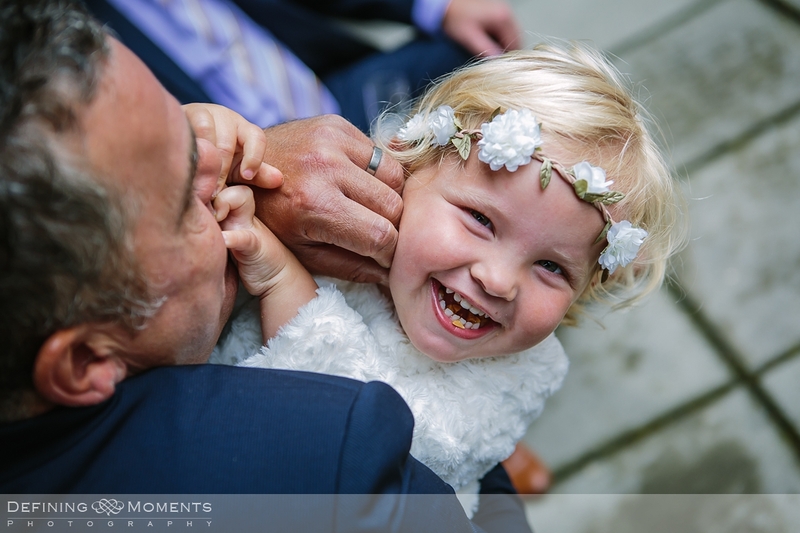 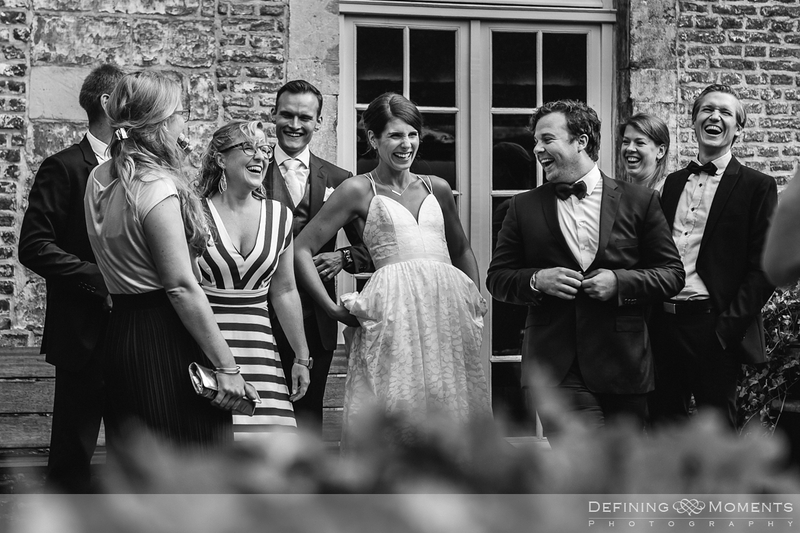 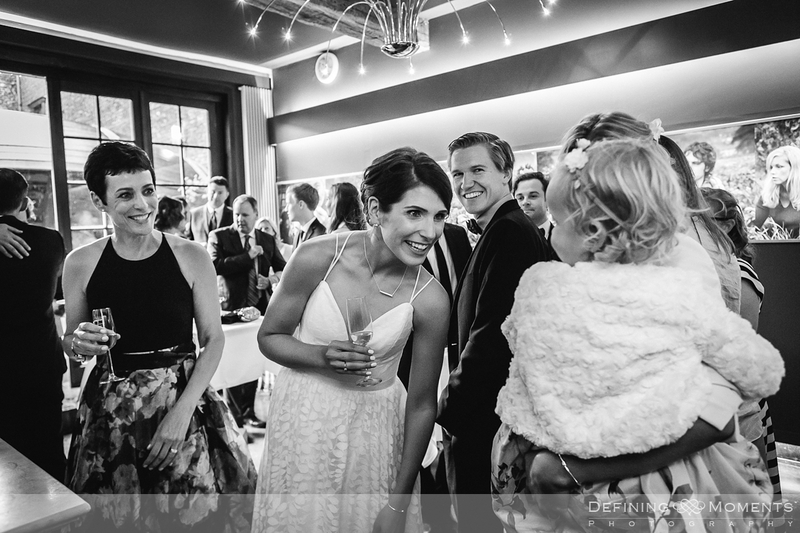 Roger was truly touched when he saw Carly for the first time in her stunning wedding dress! 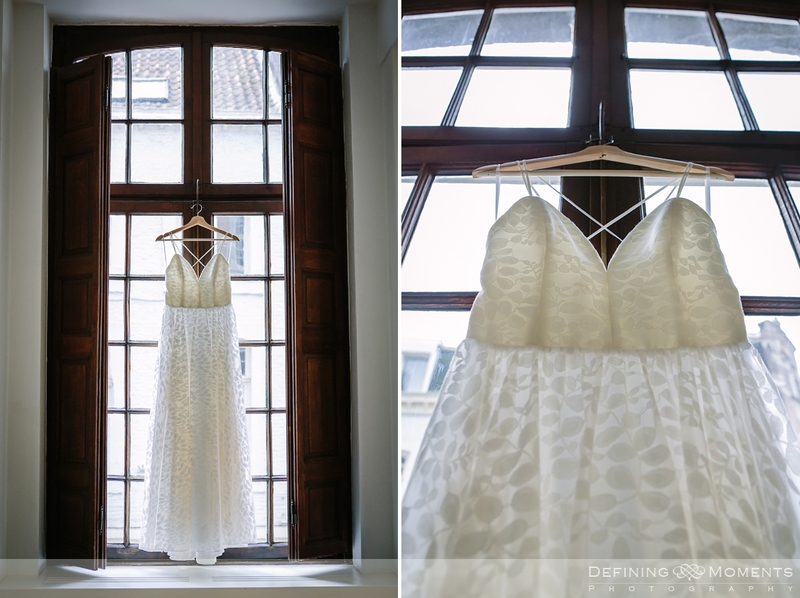 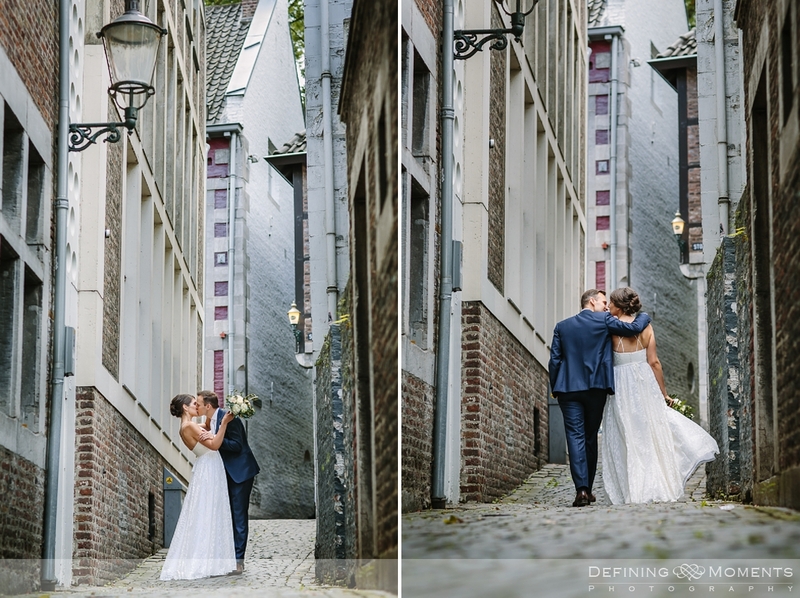 Our portrait session was planned to take place before the ceremony so off we went for a stroll in the city centre. 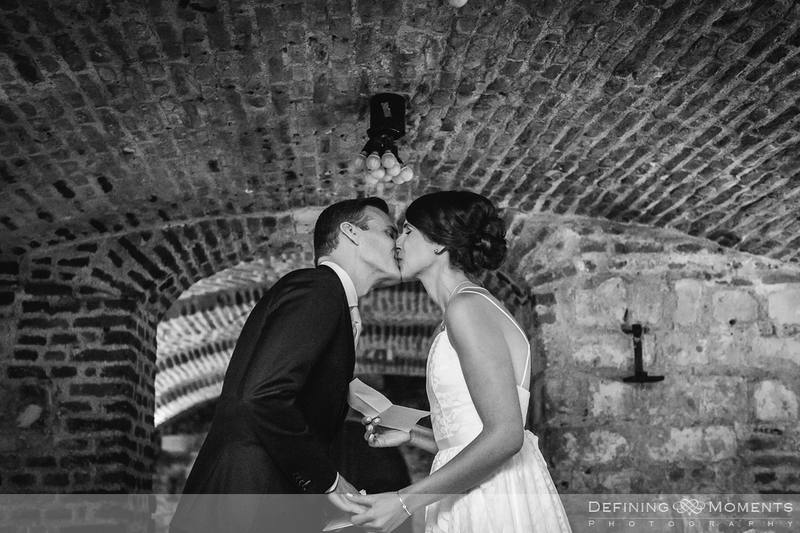 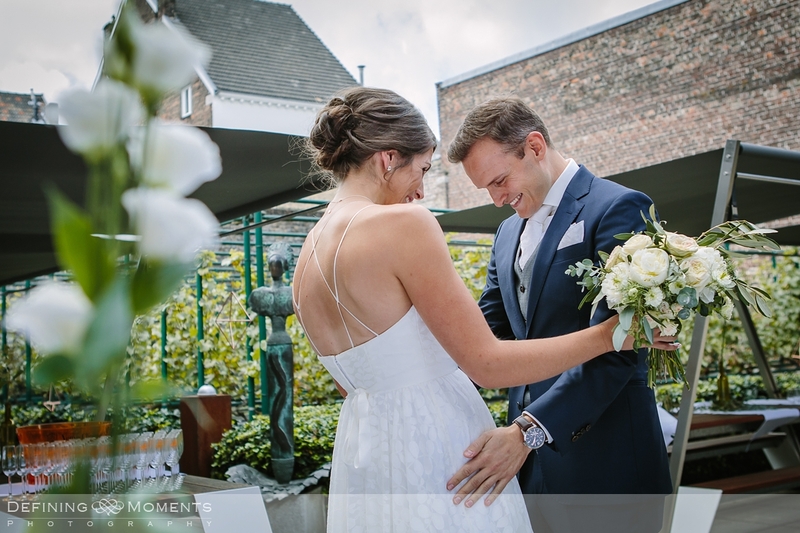 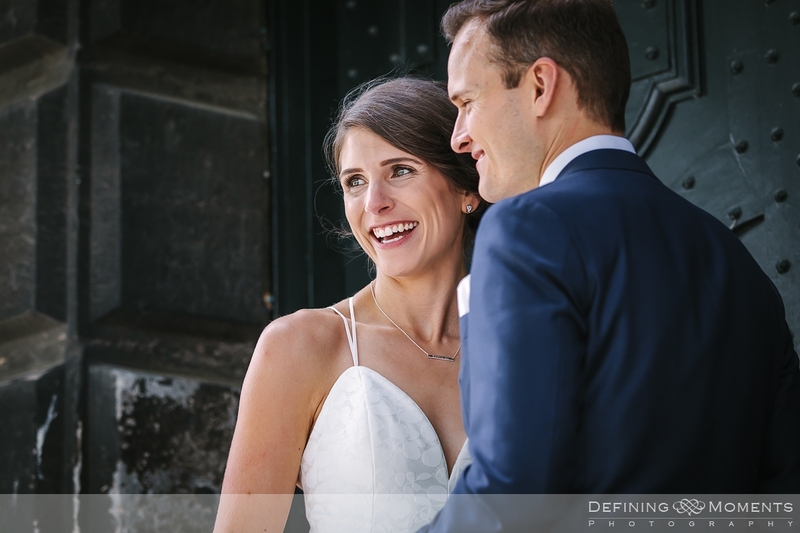 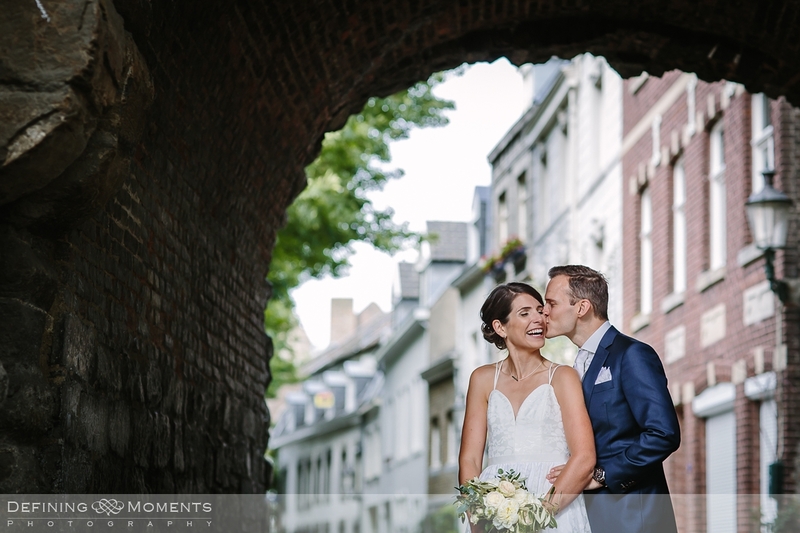 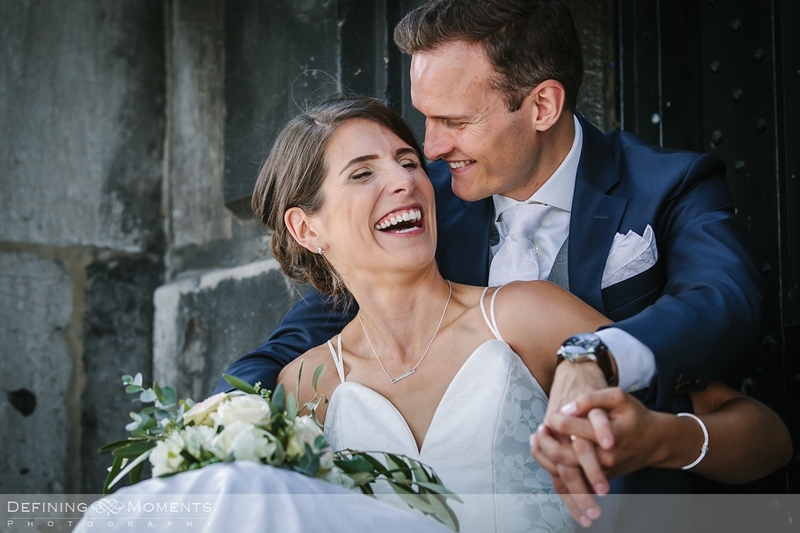 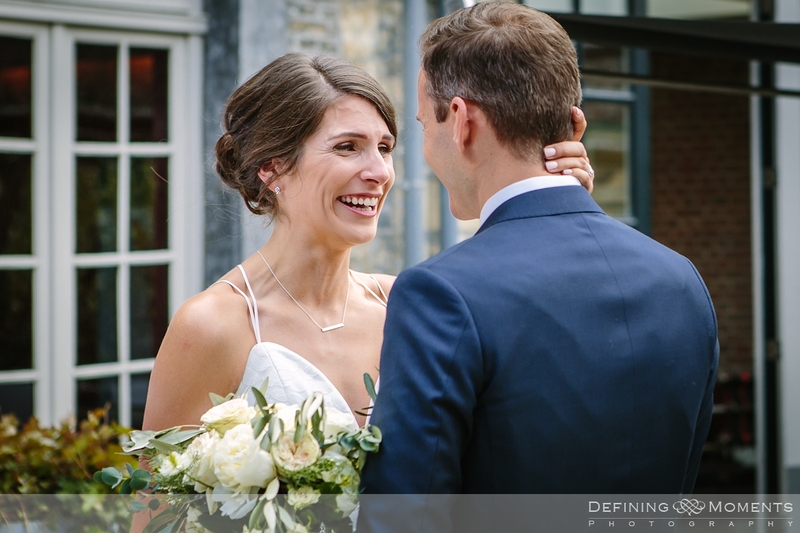 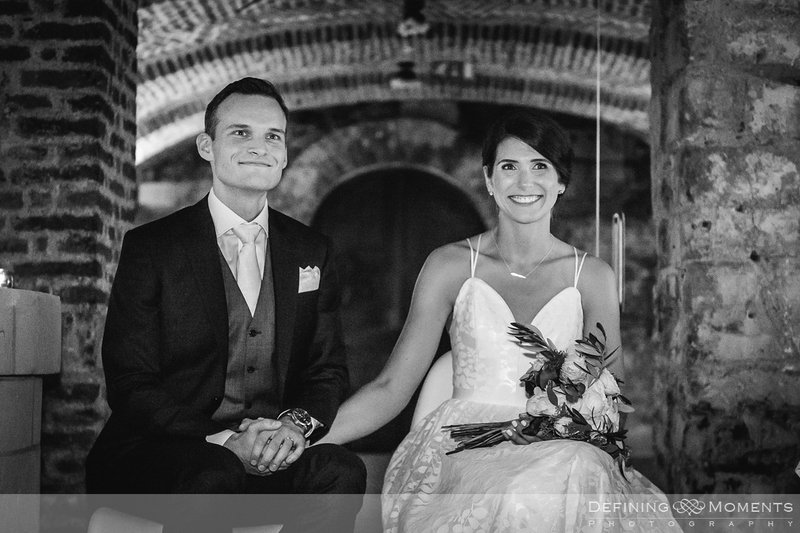 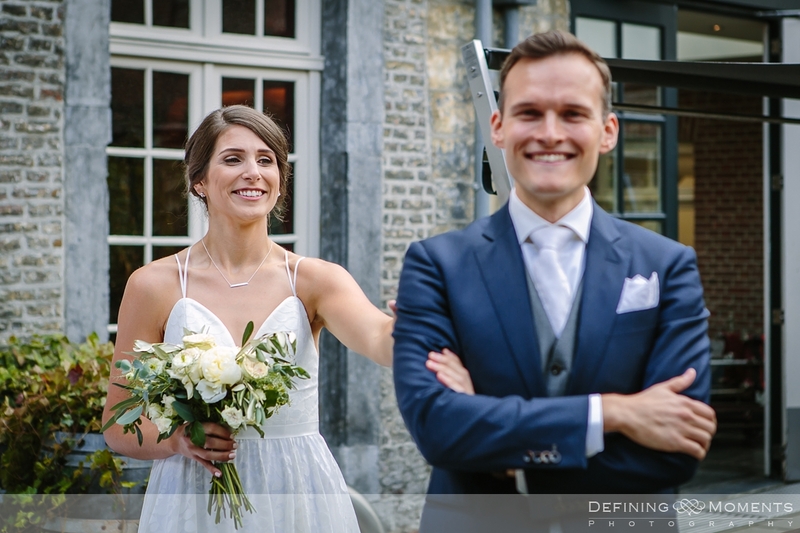 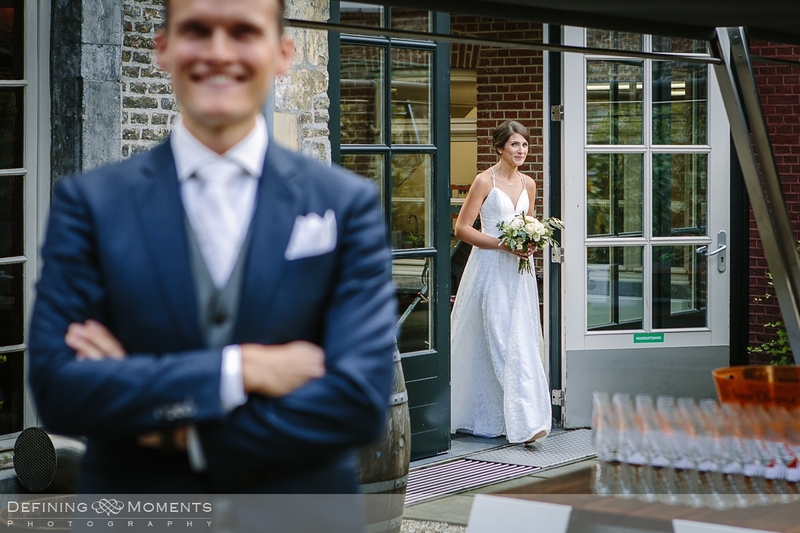 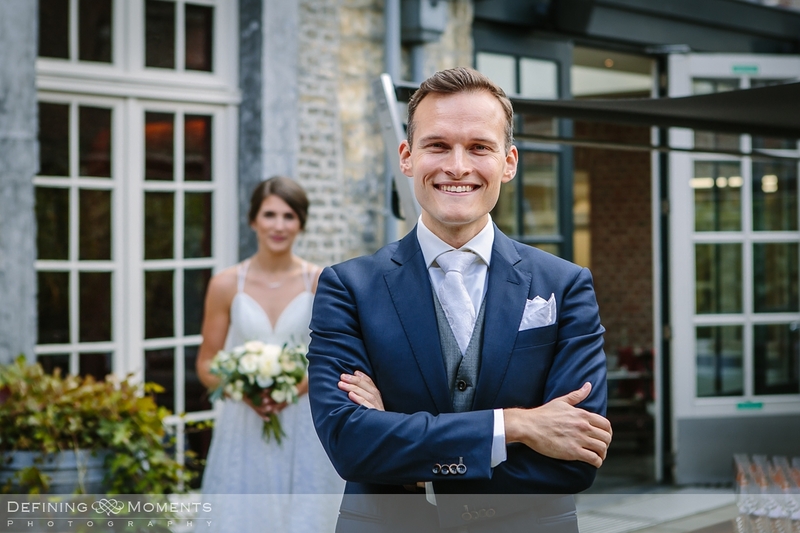 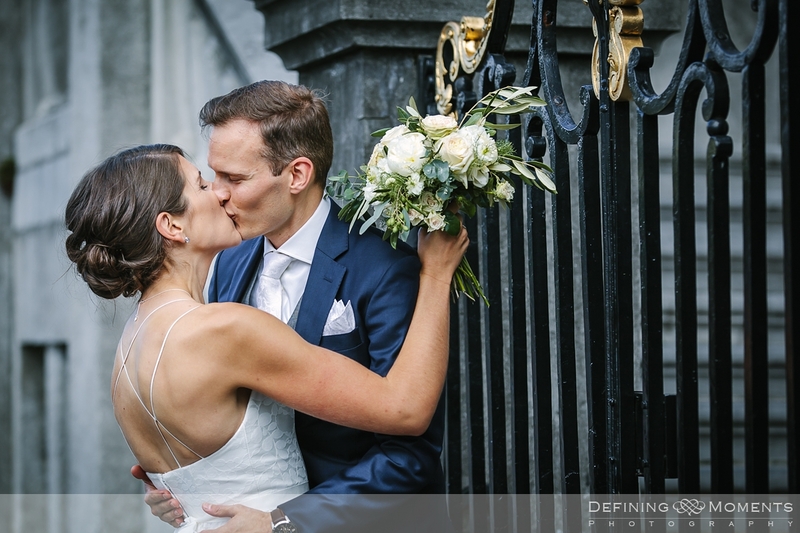 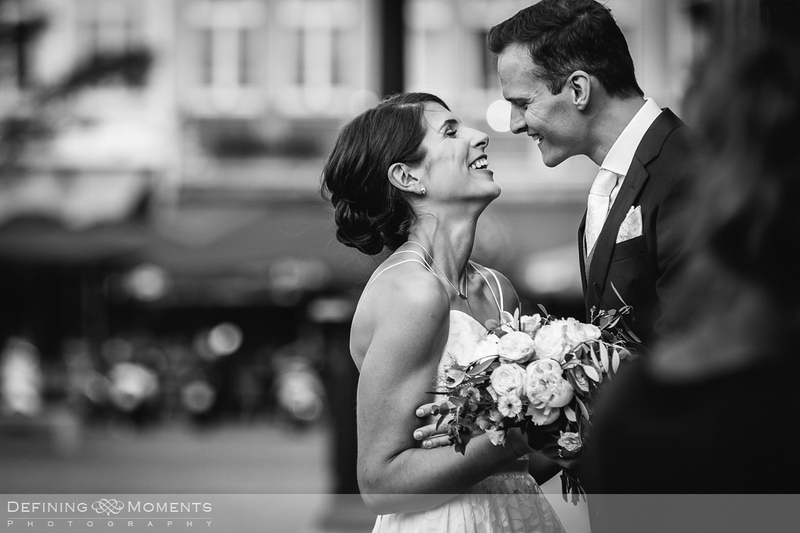 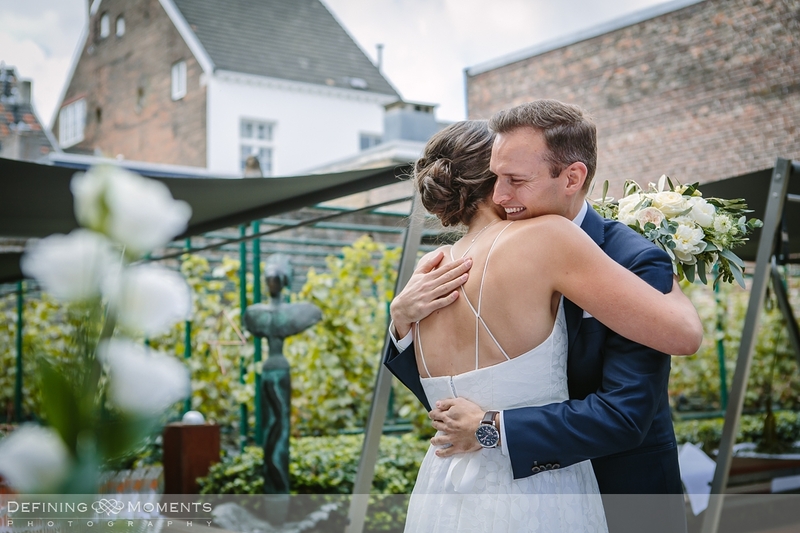 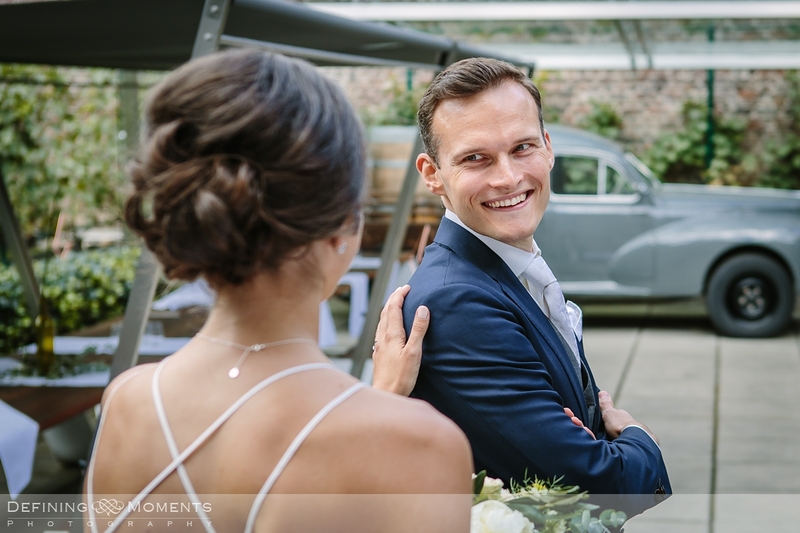 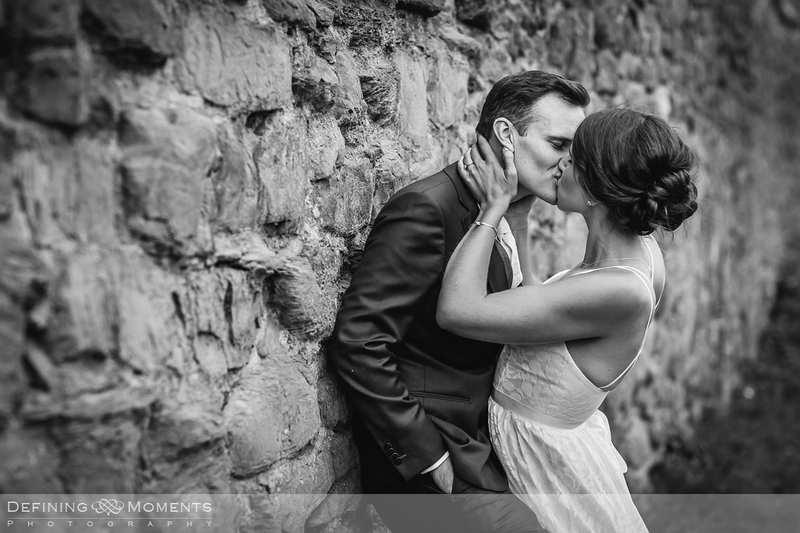 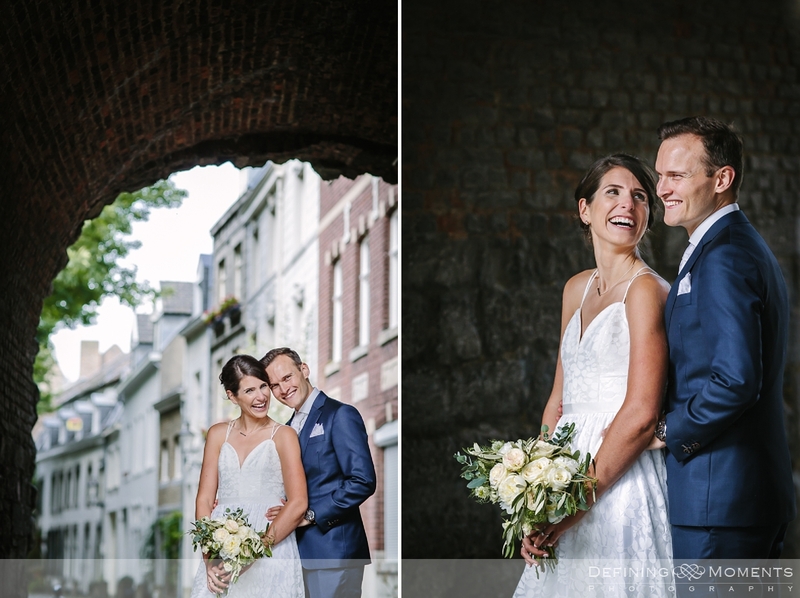 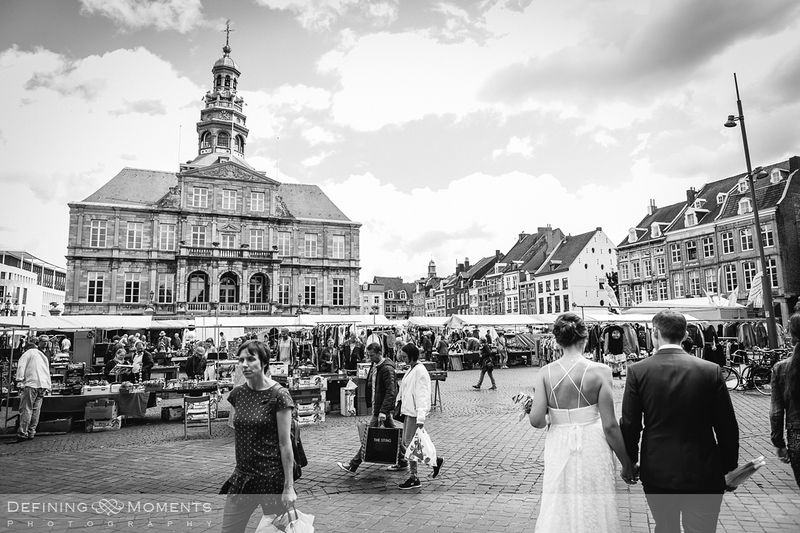 Maastricht is a wonderful place with many picturesque photo locations so the photoshoot flew by, and before we knew it the couple was about to tie the know in Thiessen’s wine cellar. 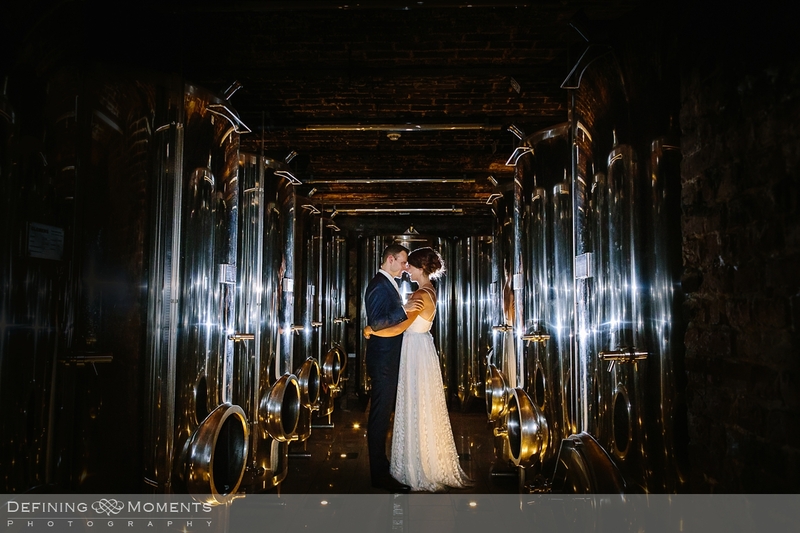 What a stunning setting! 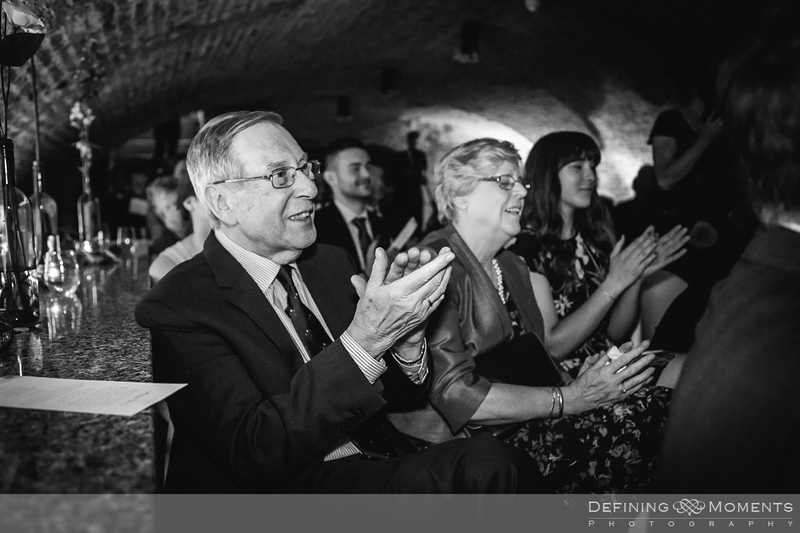 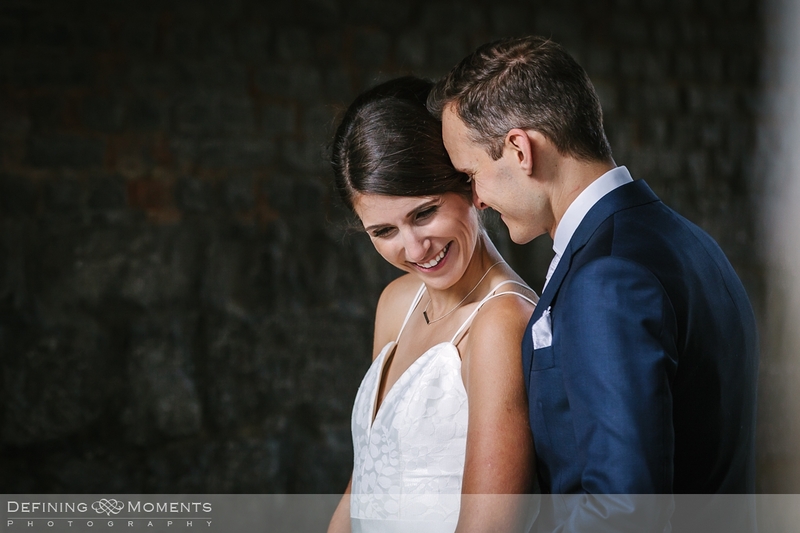 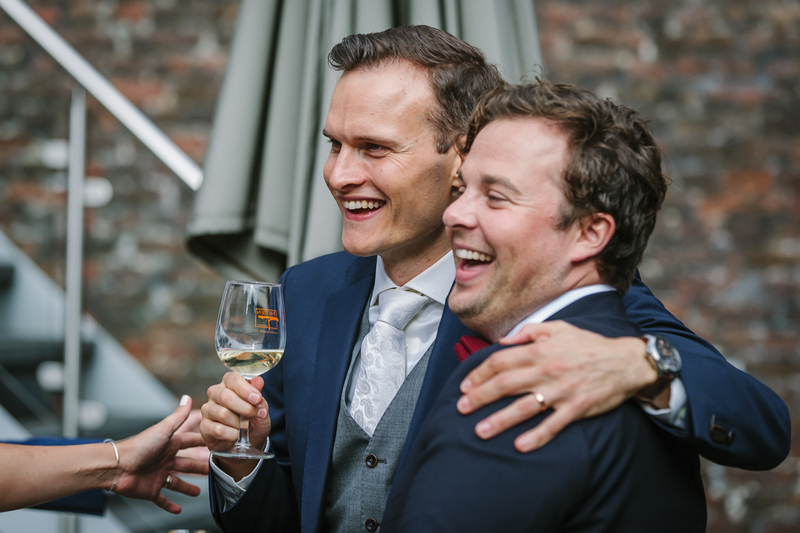 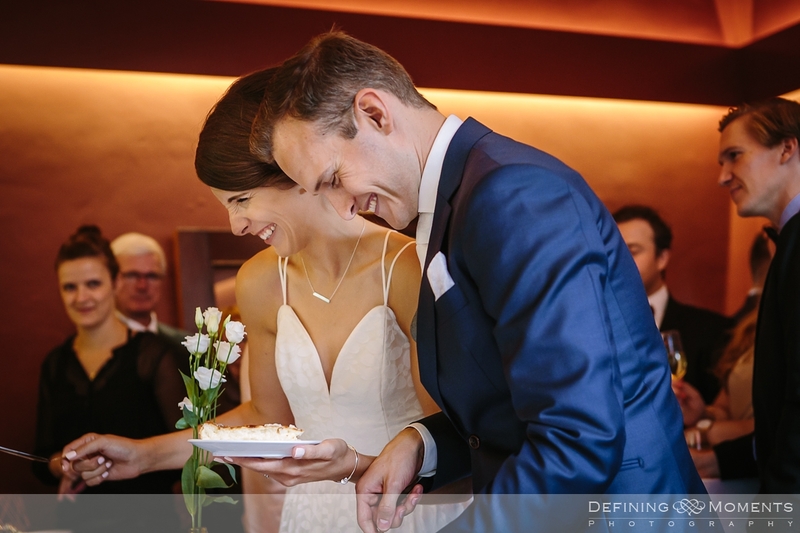 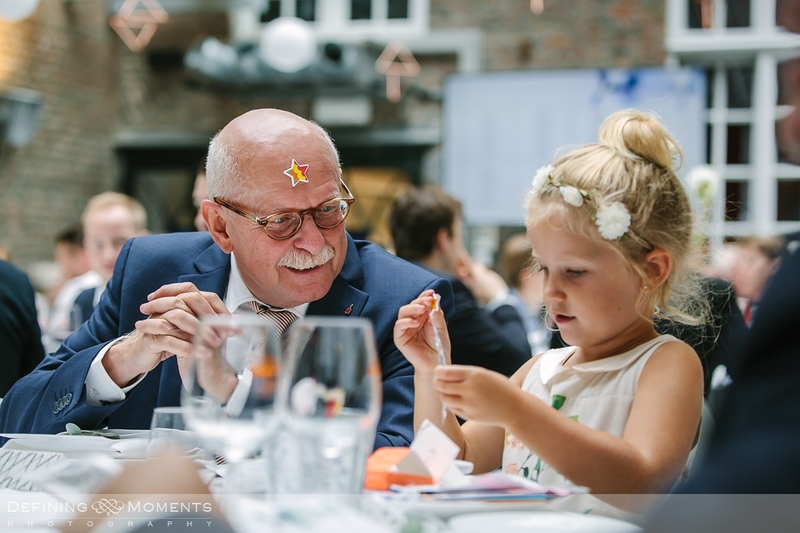 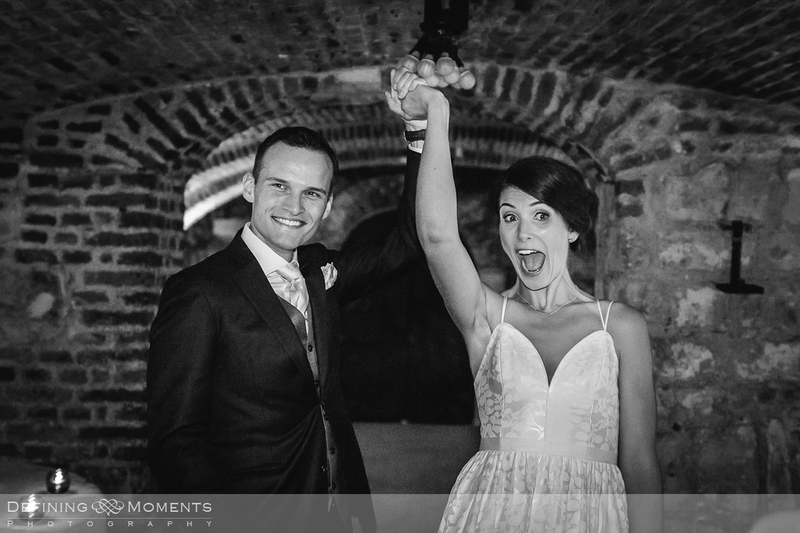 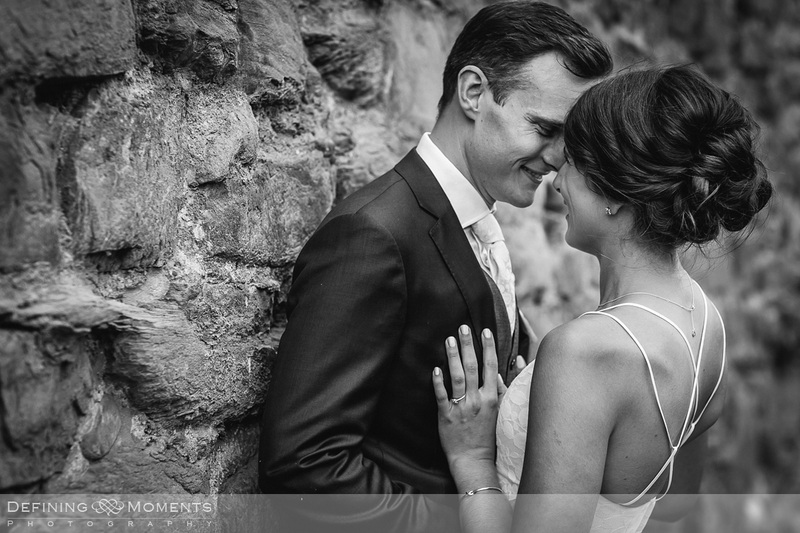 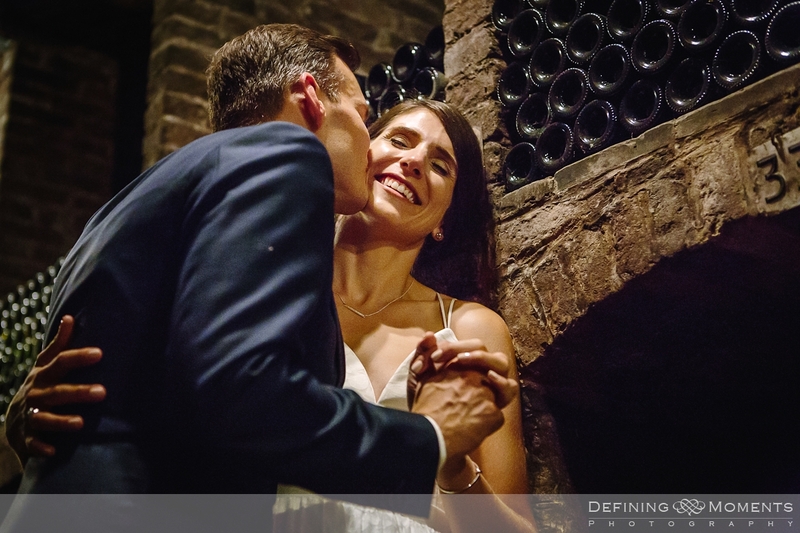 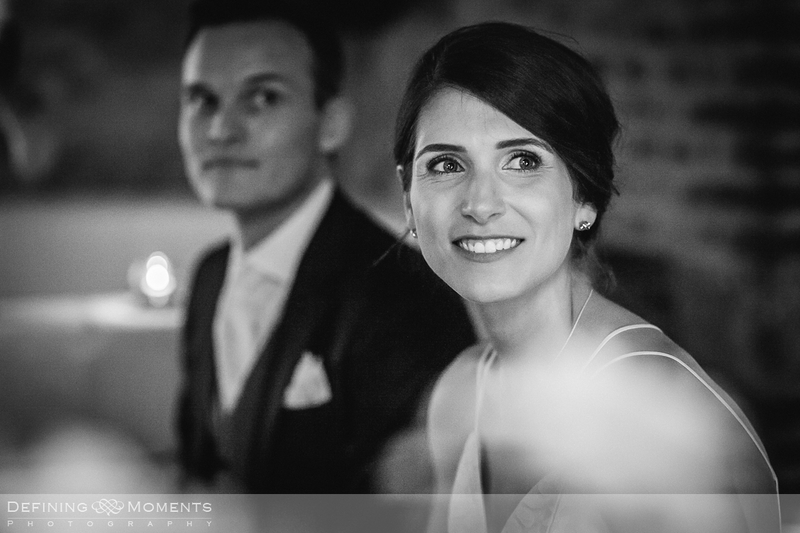 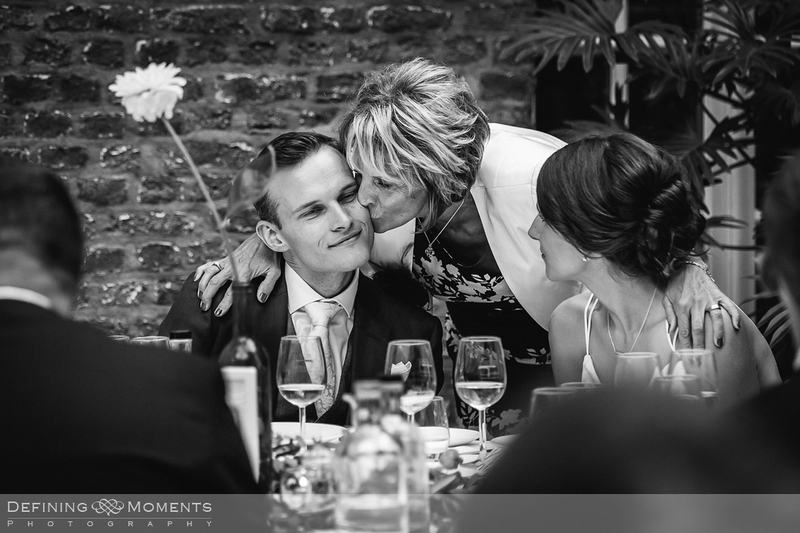 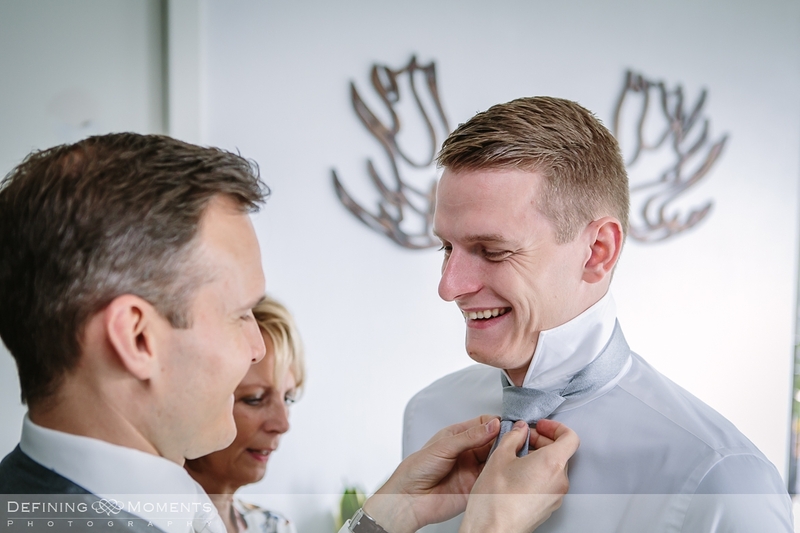 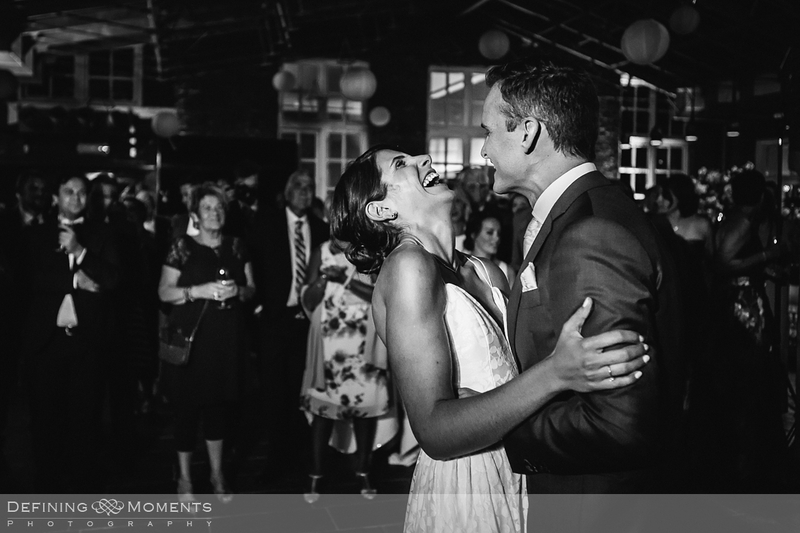 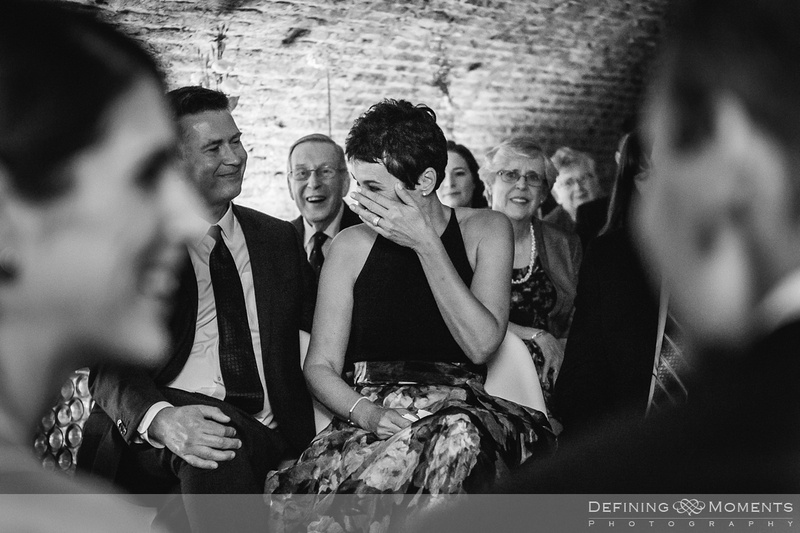 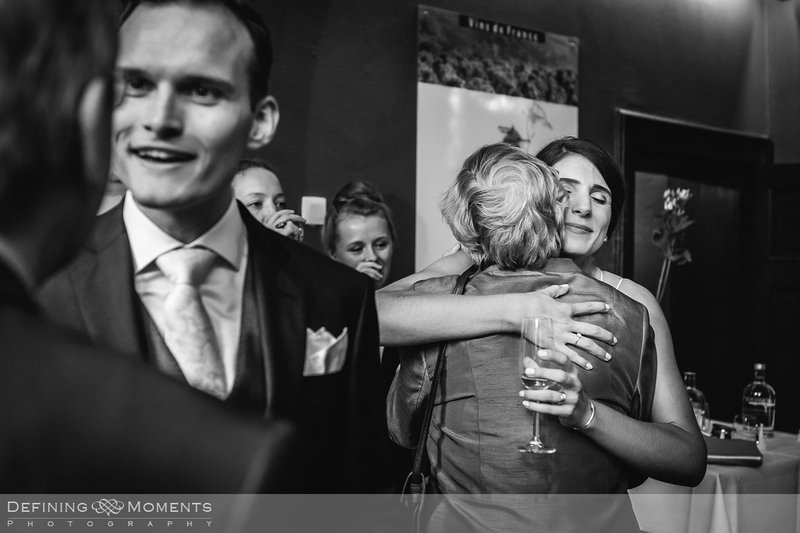 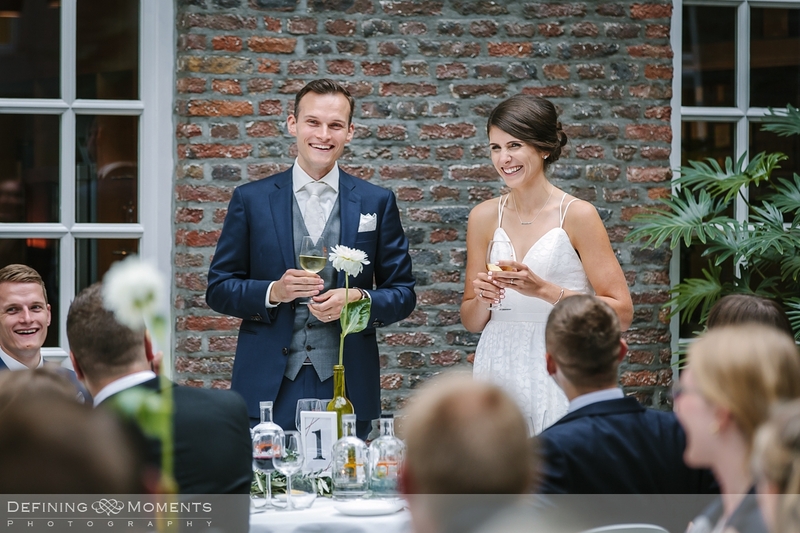 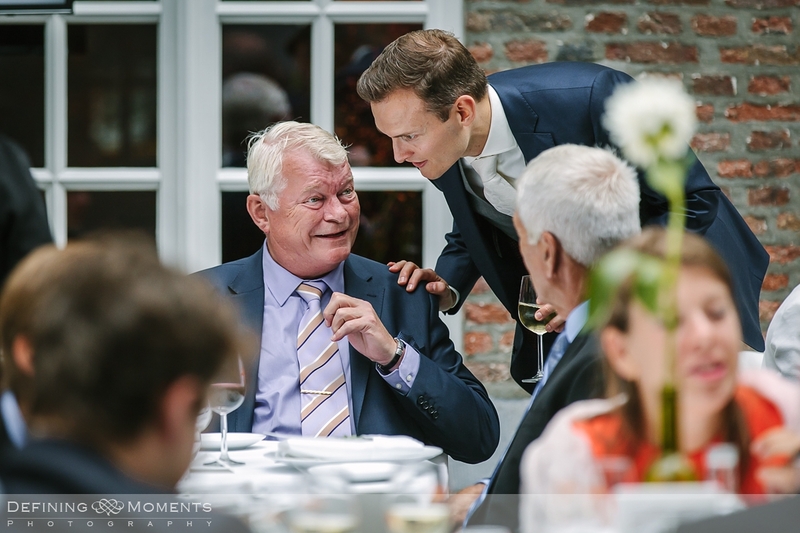 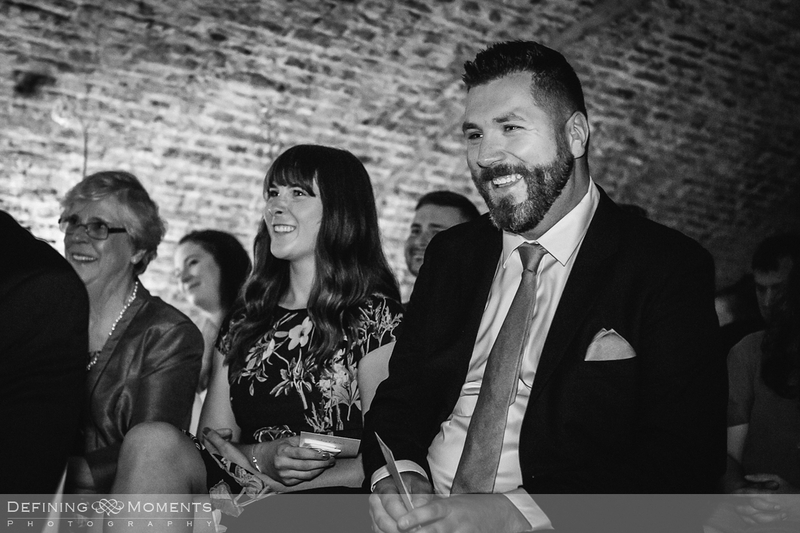 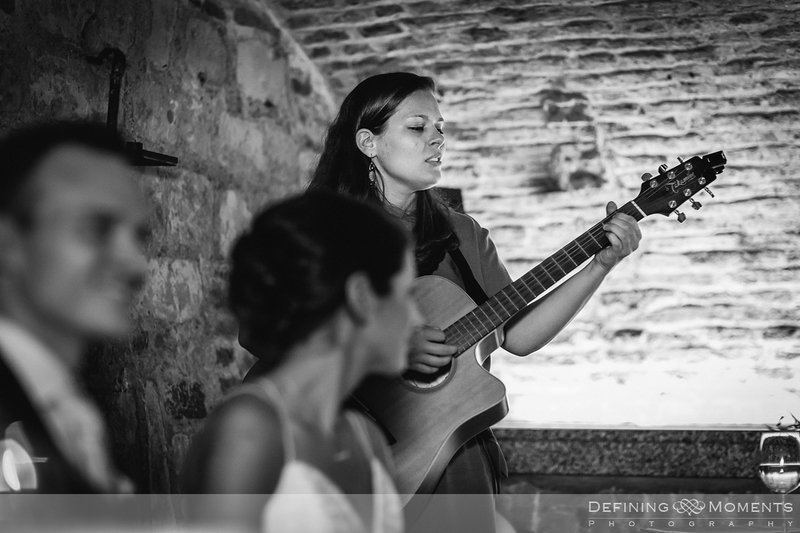 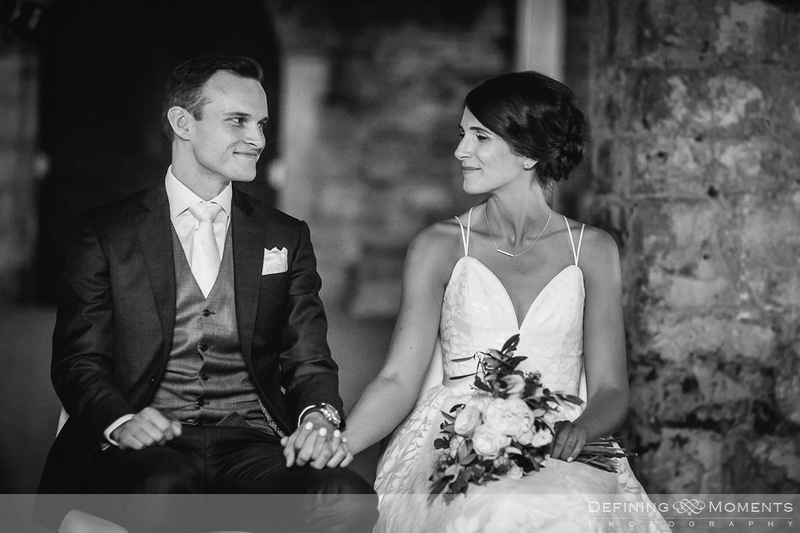 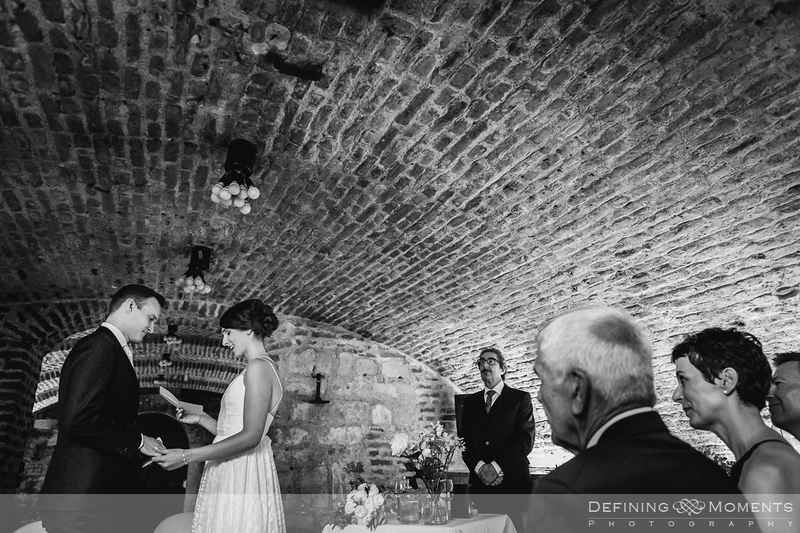 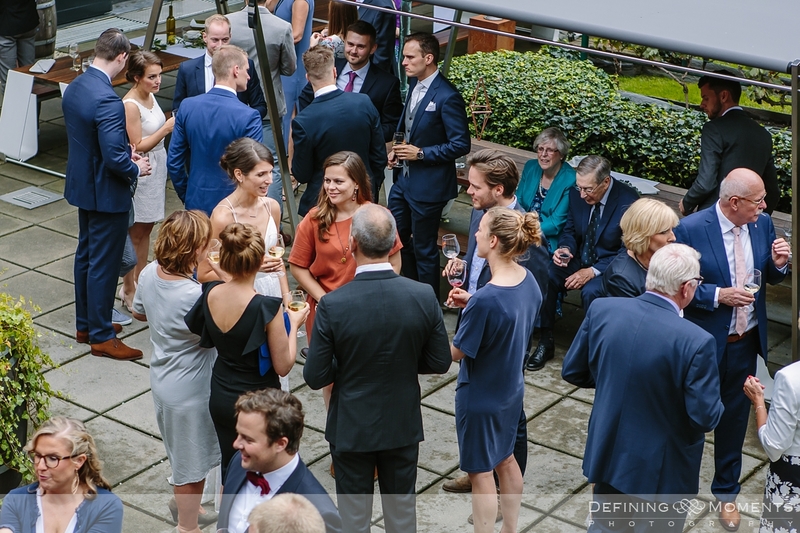 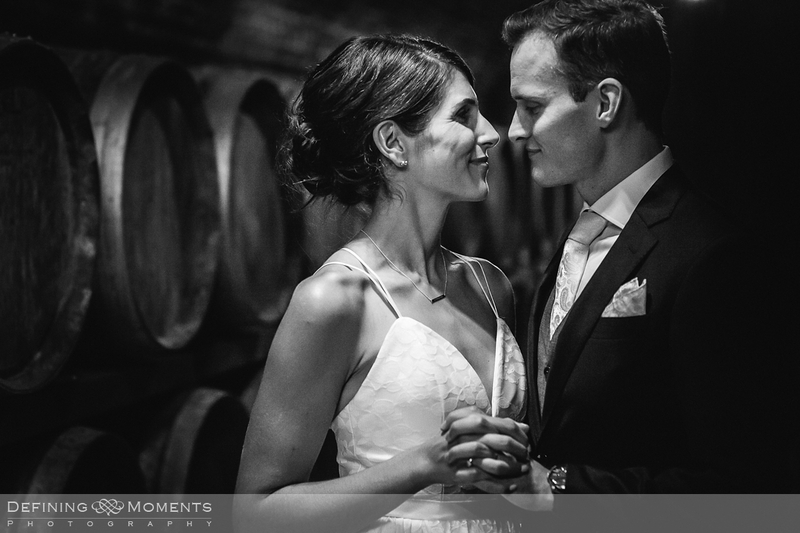 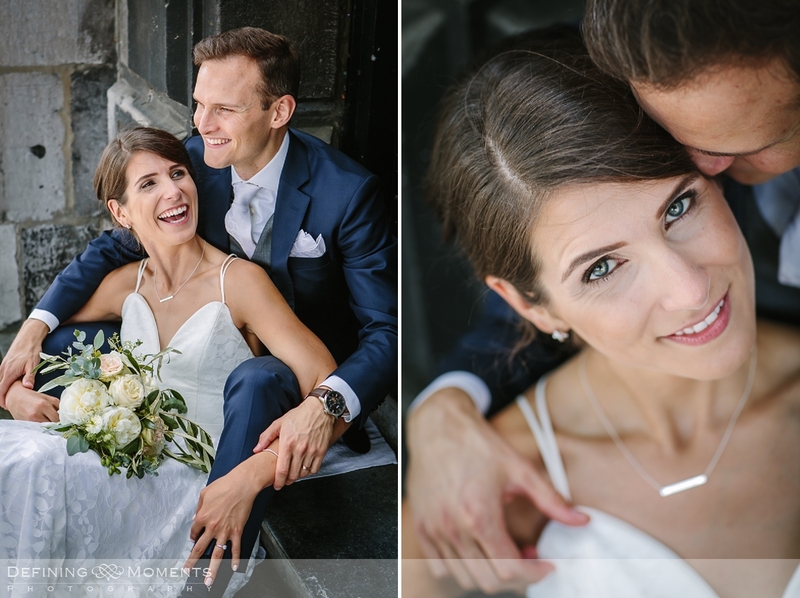 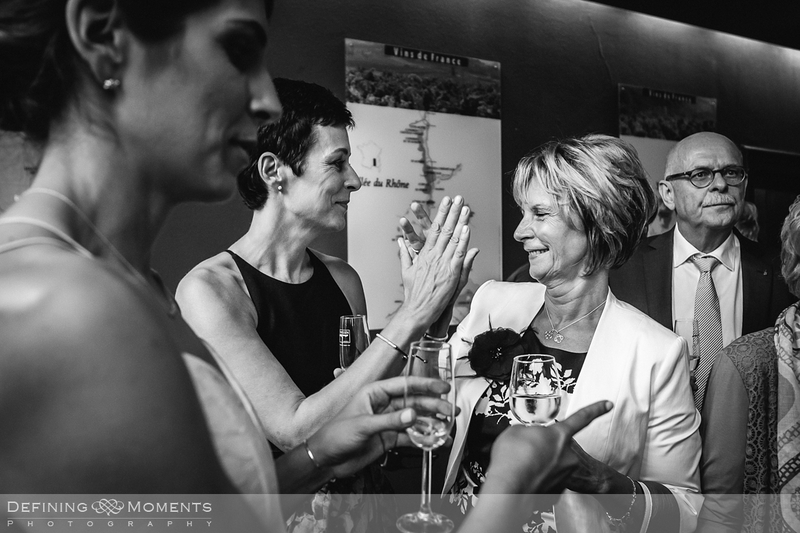 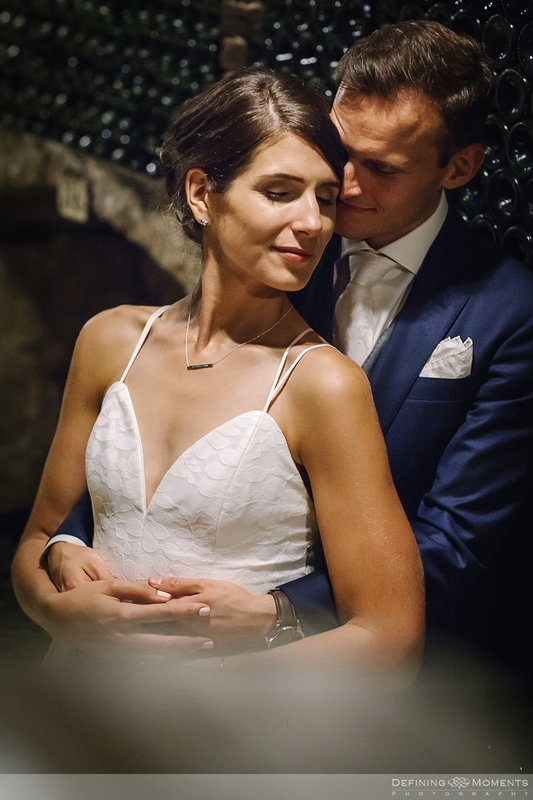 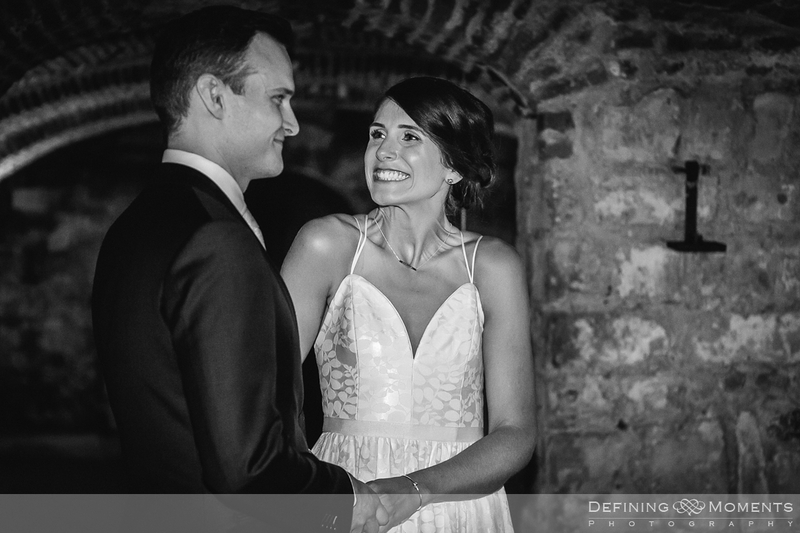 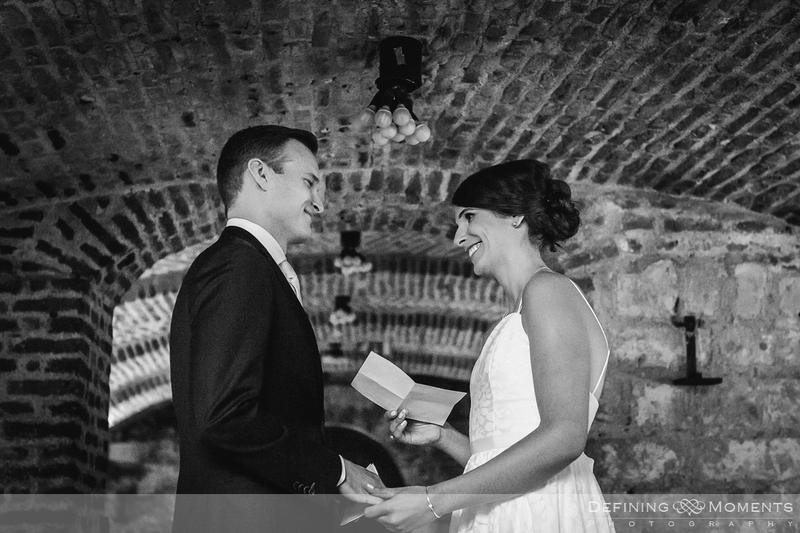 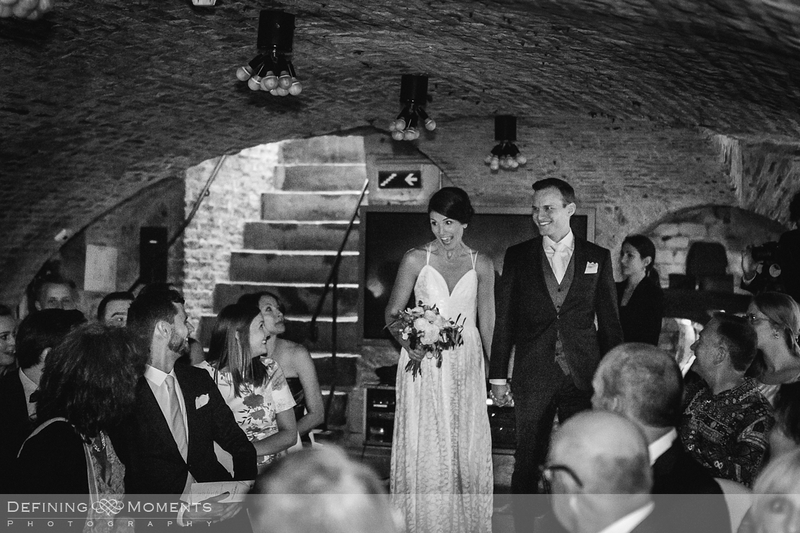 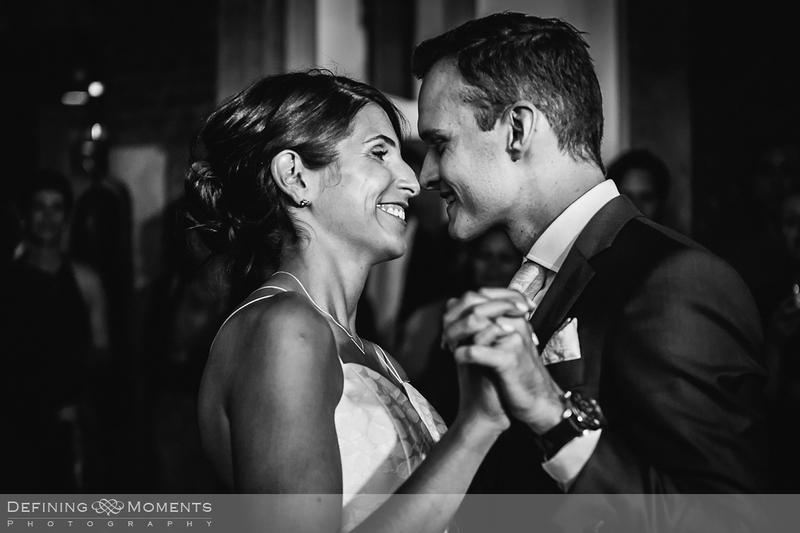 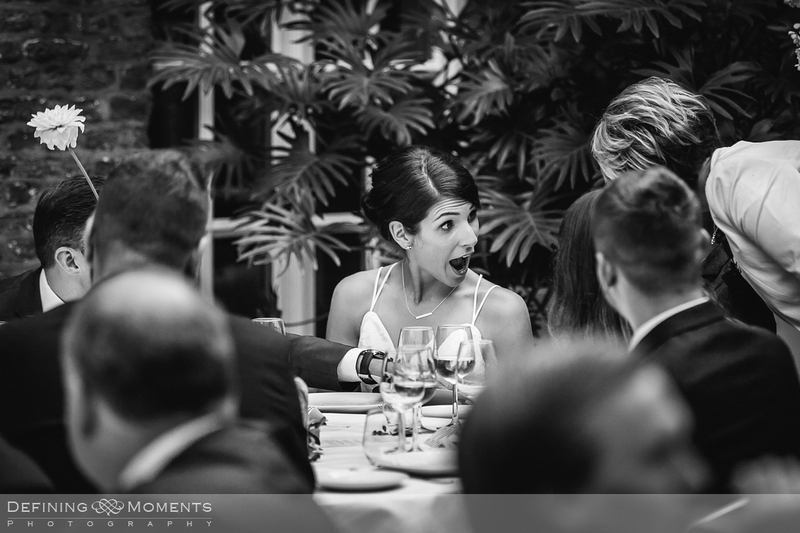 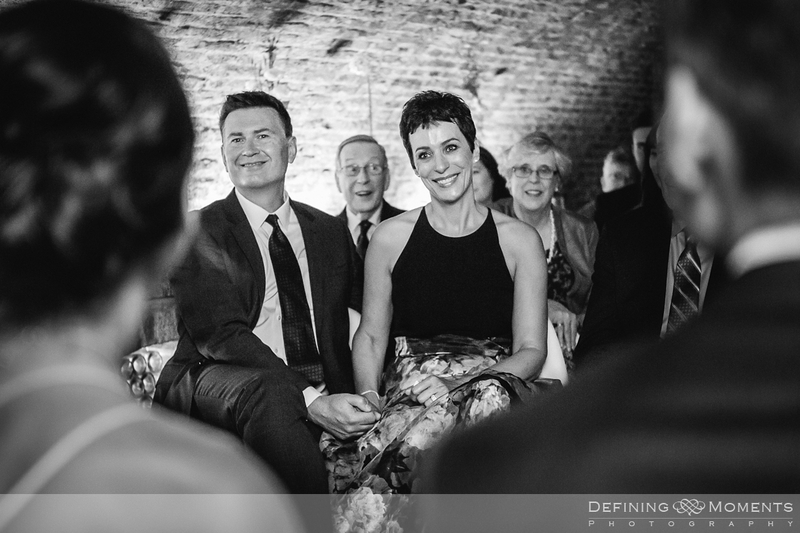 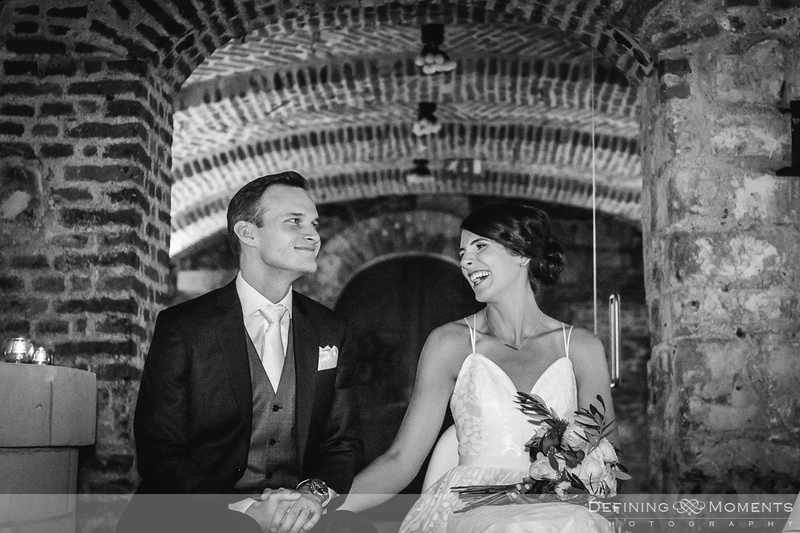 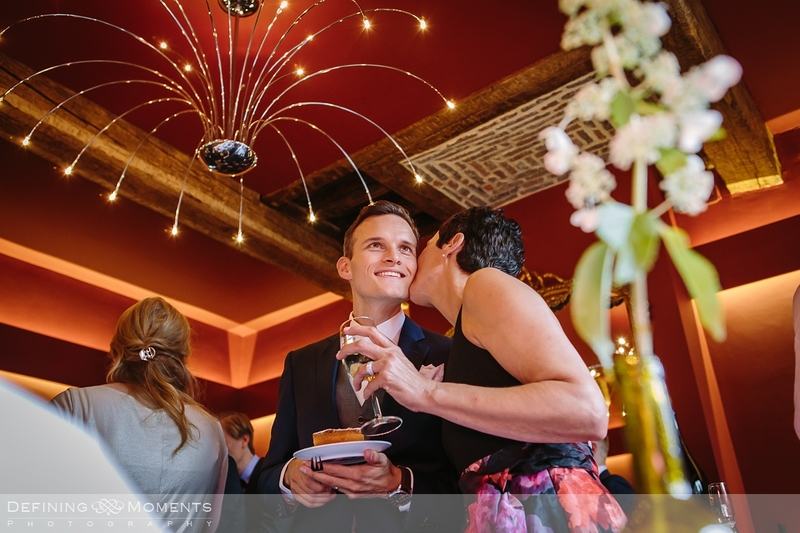 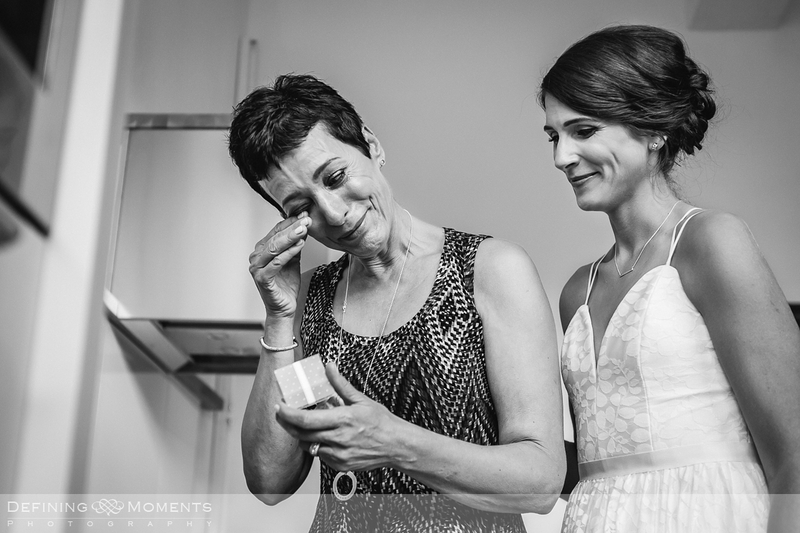 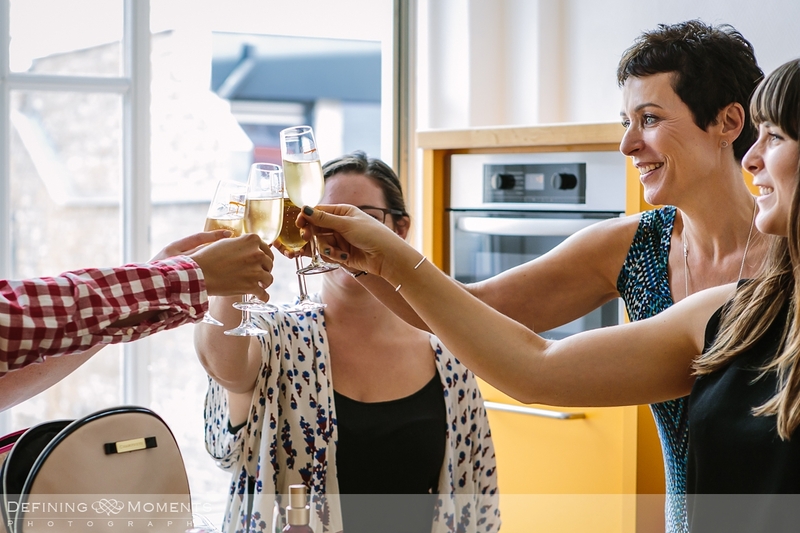 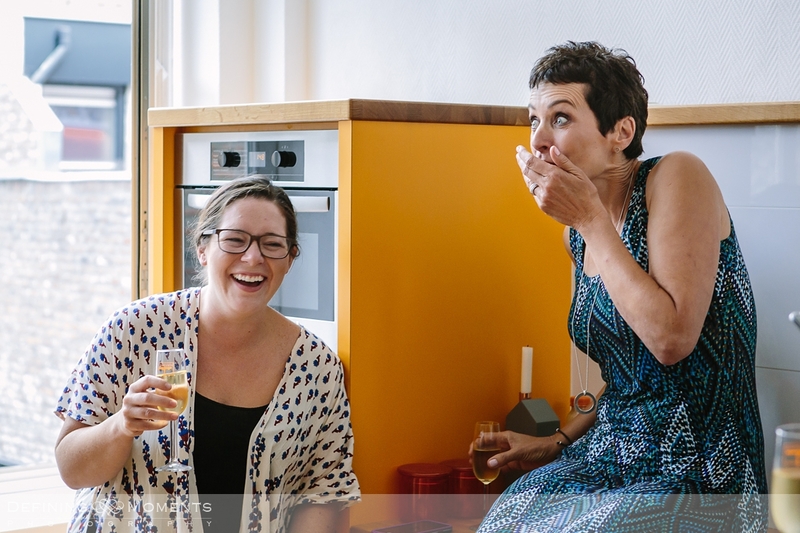 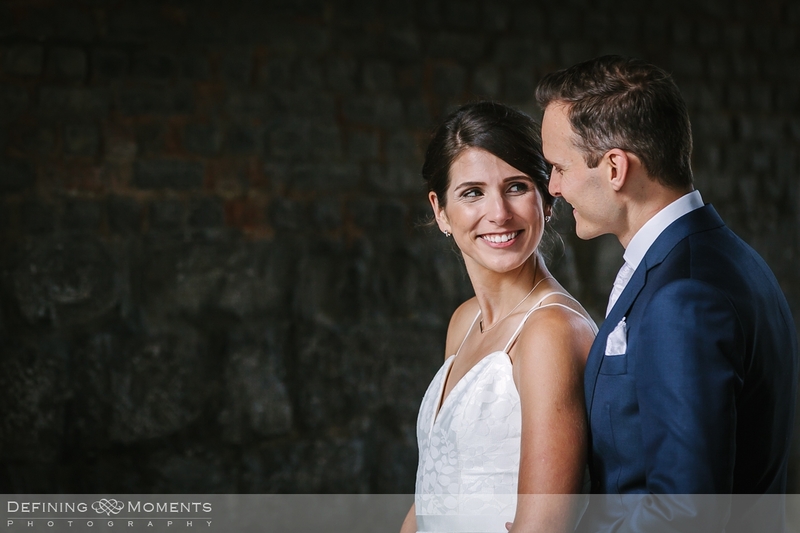 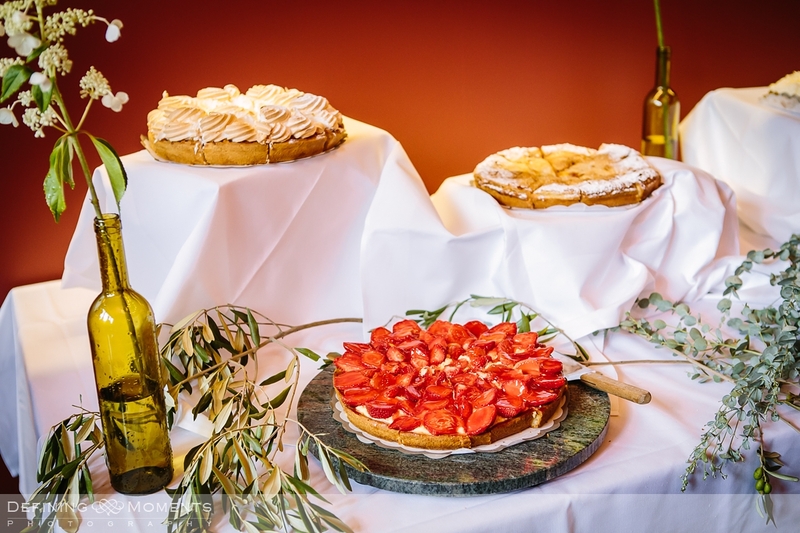 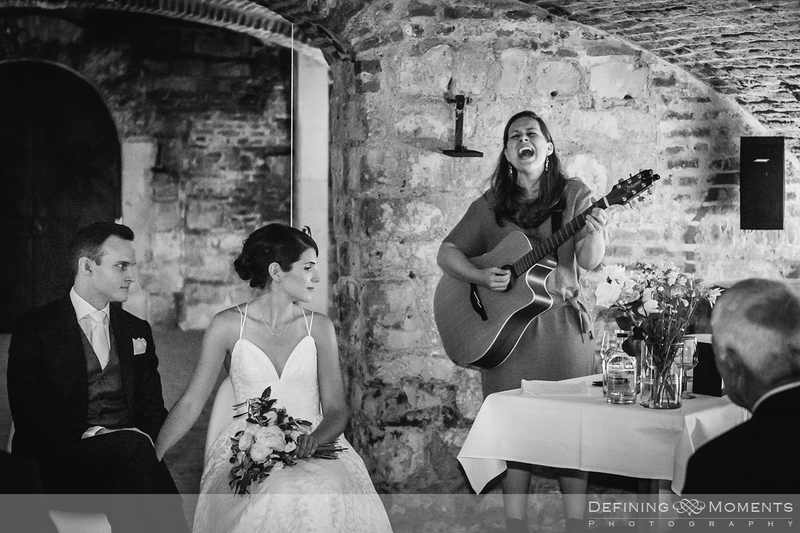 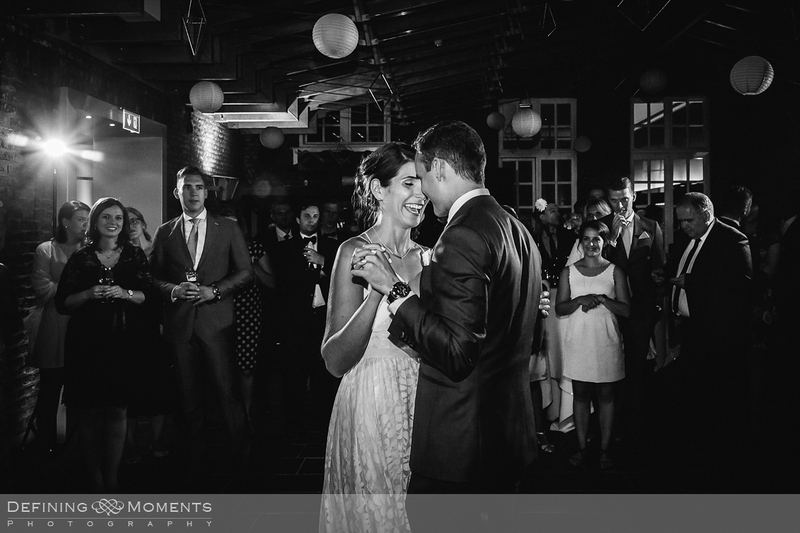 Festivities continued throughout the day and after wedding breakfast the couple had allowed – to my utter happiness – some more time for portraits in the wine cellar! 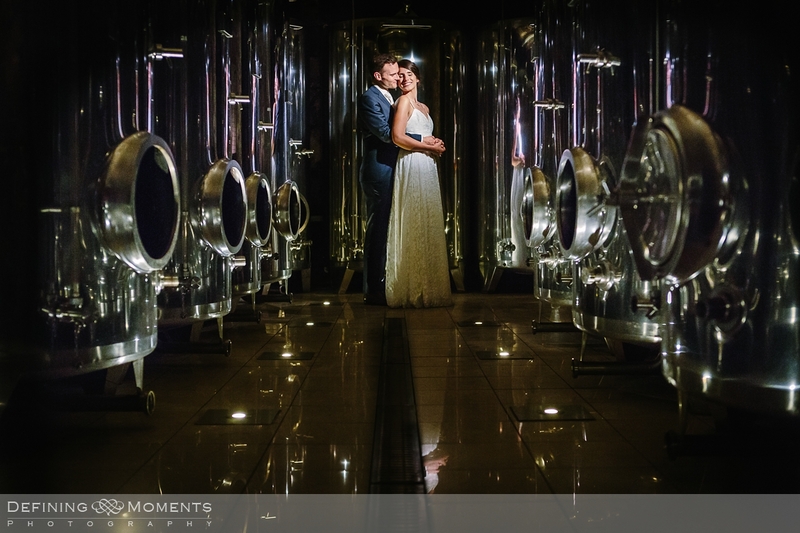 A great opportunity to tackle a challenging light situation but I think we managed well ;-). 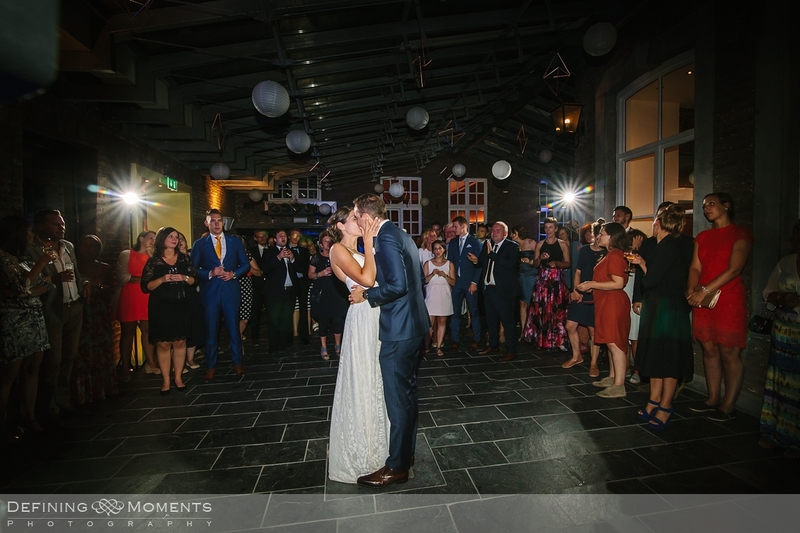 The opening dance followed shortly after that, a wonderful closure to a wonderful day for us – Carly & Roger we wish you lots of happiness for the future together! 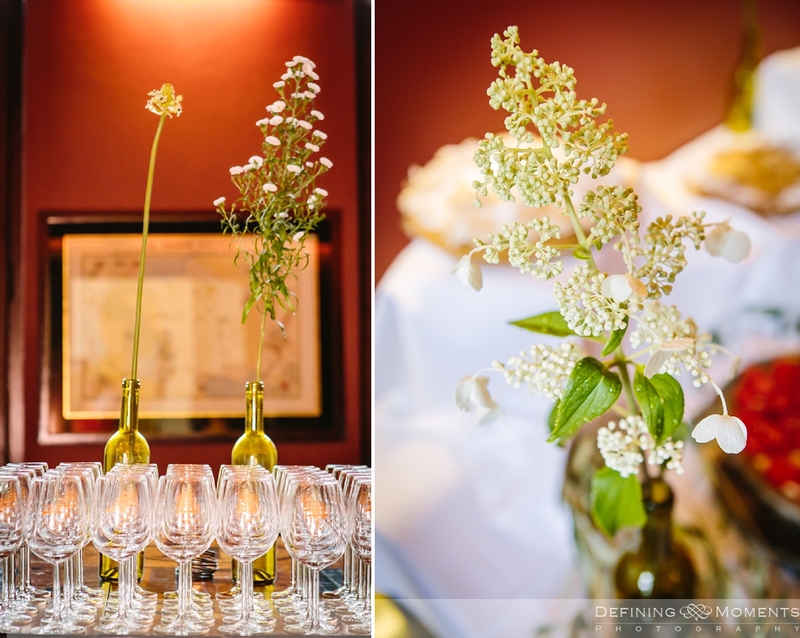 If you fancy a similar wedding location and are looking for an English vineyard wedding in the countryside, have a look at Denbies Wine Estate (just around the corner from me actually, I am also a preferred supplier). 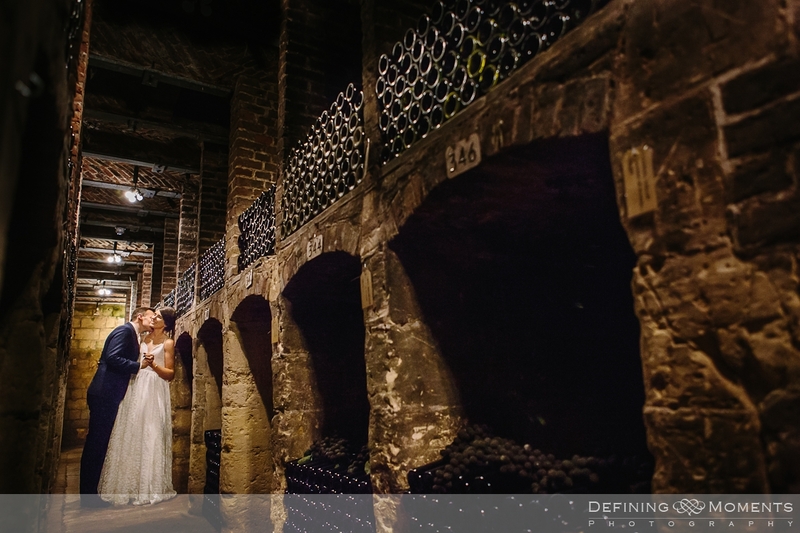 This amazing wedding venue is located in the heart of the Surrey Hills, surrounded by 265 acres of vineyard. 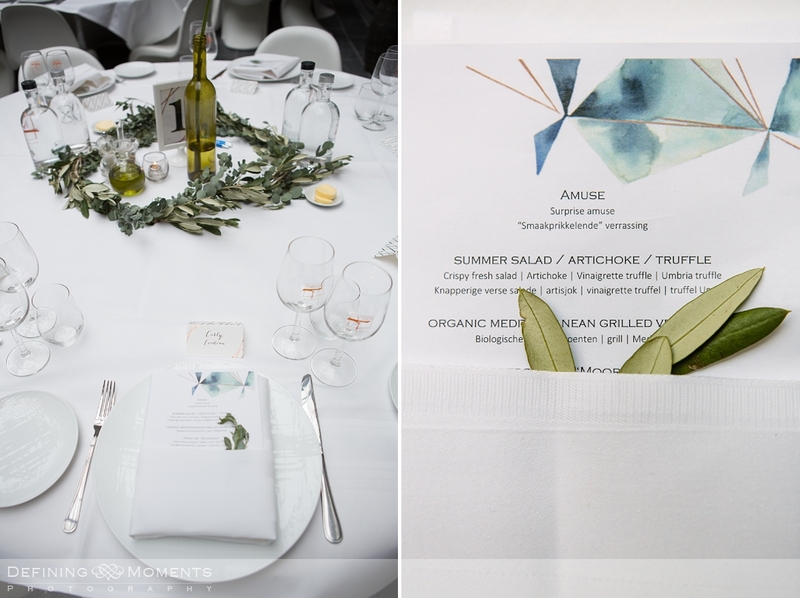 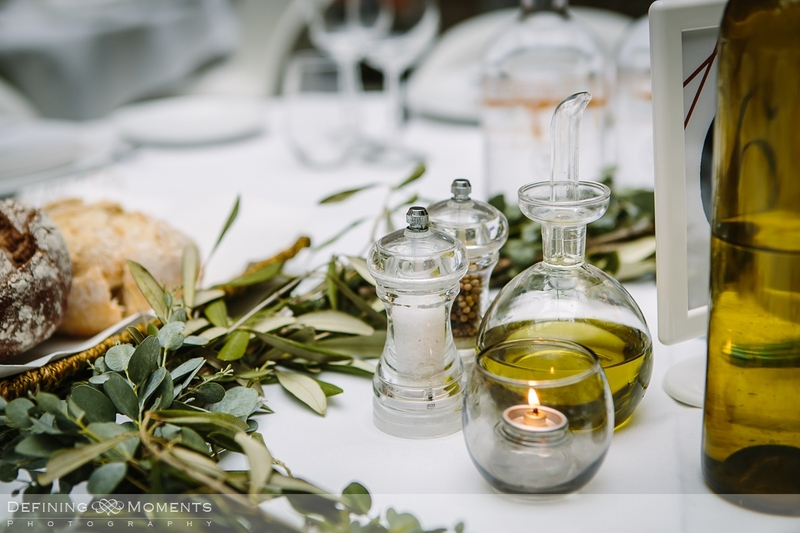 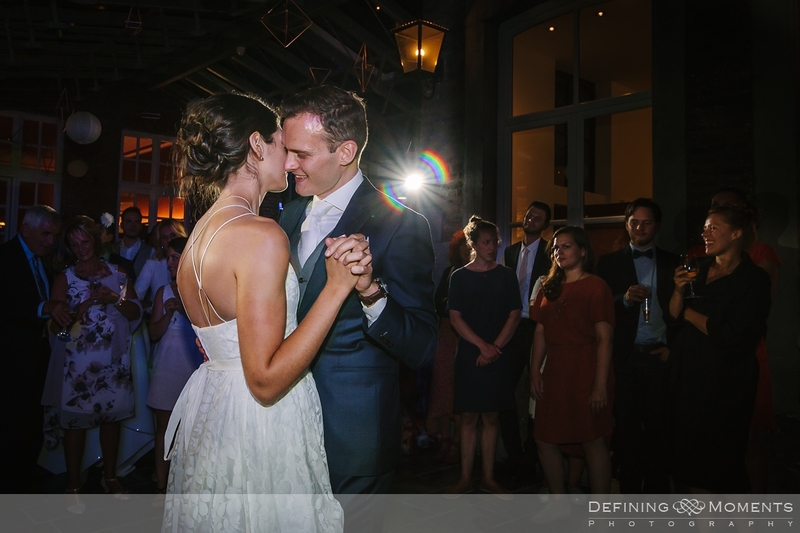 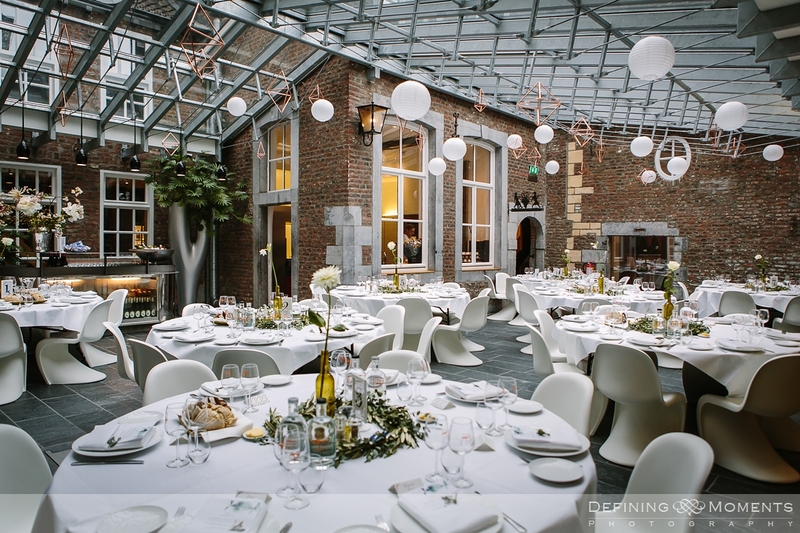 It offers stunning backdrops for your wedding reception, including a conservatory atrium, a garden room and wine cellar like the one showcased in this blog. 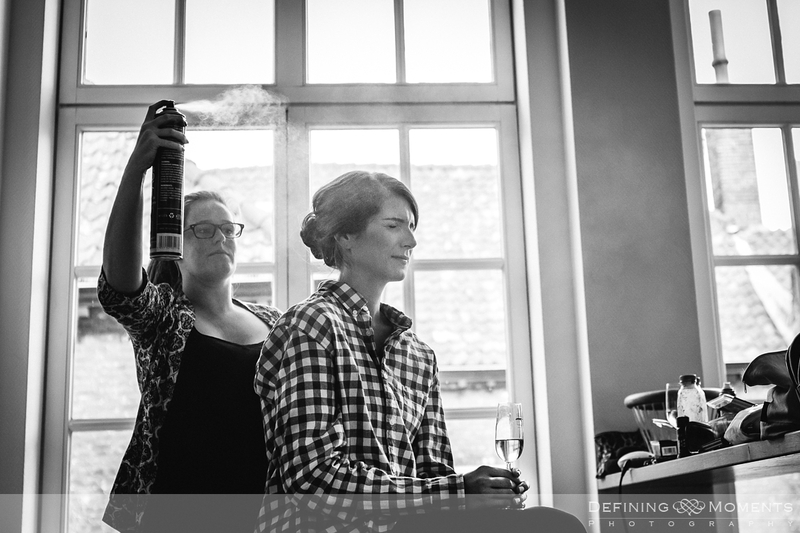 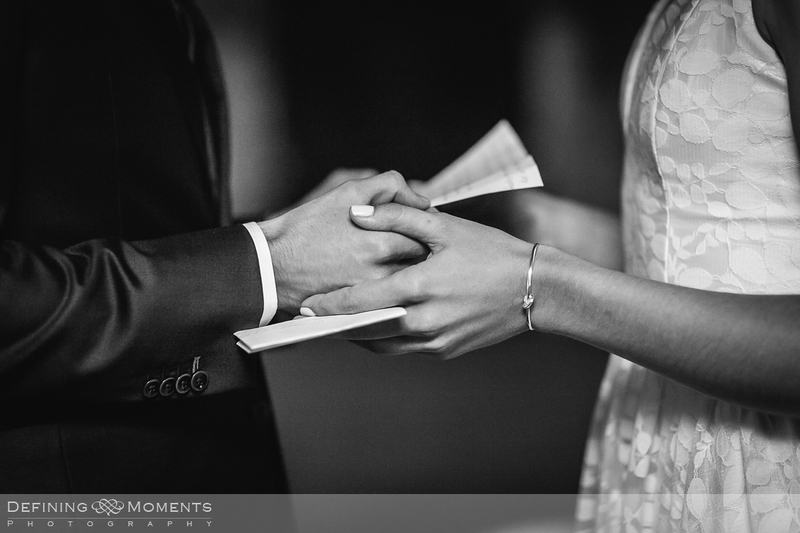 Also check out this blogpost with examples of my documentary wedding photography at vineyard weddings!